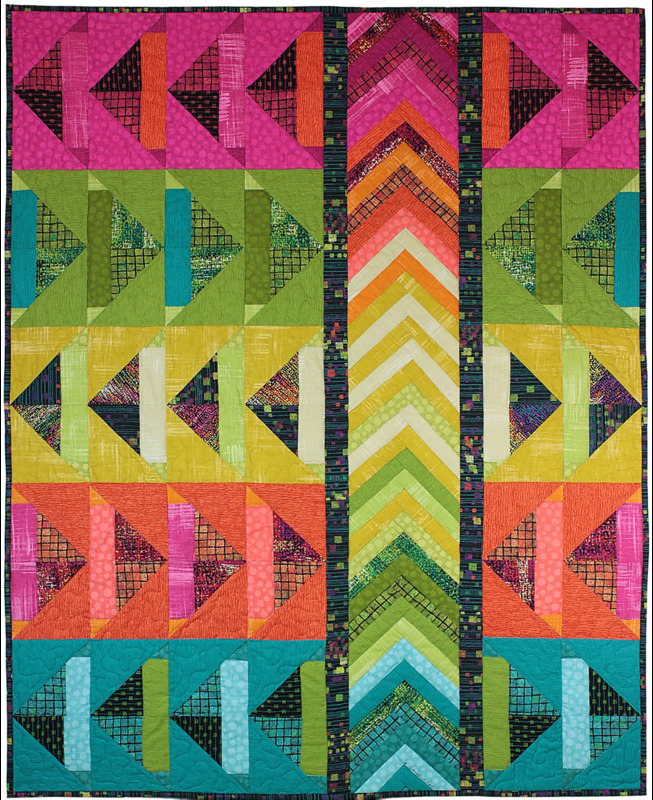 Winners, please e-mail us your name and shipping address (which we will hold in confidence) to quiltinspiration@gmail.com. We'll ship out your prize, postage paid, as soon as possible. All of your comments were so nice, that we really wish we could award a prize to each of you this month. However, we have the next best thing -- another Giveaway coming up soon. 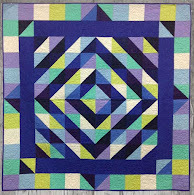 Please stay tuned to Quilt Inspiration ! 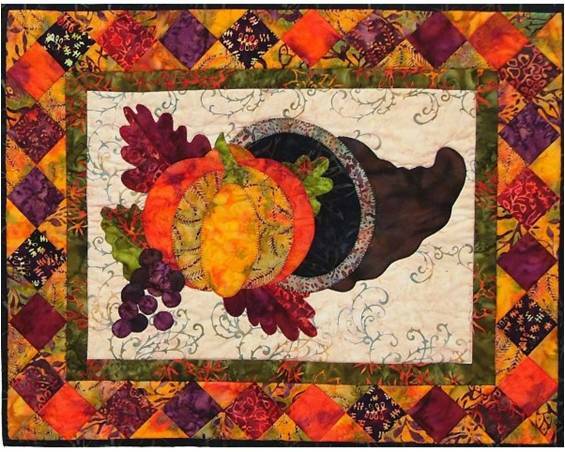 Today, we are continuing to admire some lovely quilts with the theme of a bountiful harvest. 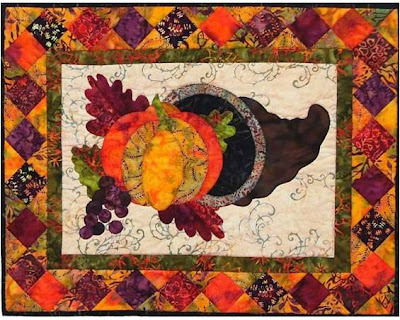 Join us for inspiration from these creative and attractive quilts which incorporate images of apples, pears, grapes, pumpkins and other fruits of the season. 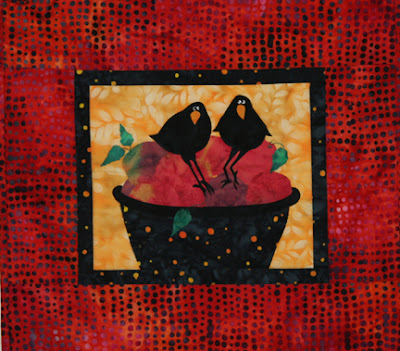 Virginia Robertson is an artist who has been working in the fabric industry for 30 years. She and her husband, Lynn, have a publishing company of fine books and patterns at Virginia Robertson Designs. 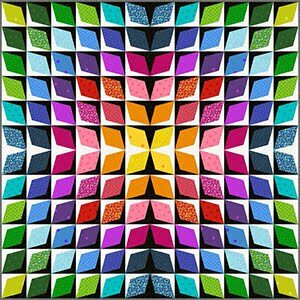 She also has designed thousands of fabrics for different fabric companies, and she has been the art director for Bali Fabrics for the last six years. In "Horn of Plenty" the batik fabrics really sparkle in warm hues which showcase the pumpkin, grapes and leaves in the center of the quilt. 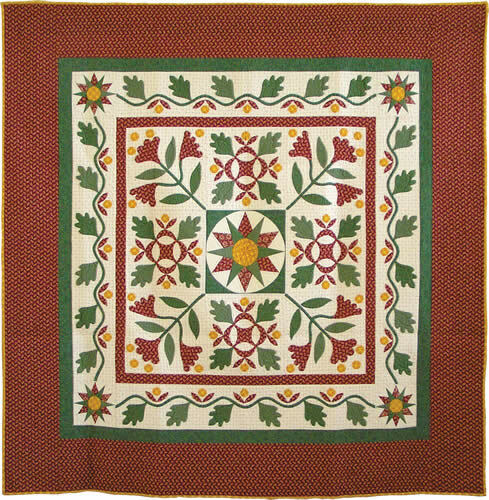 "Horn of Plenty" is available as a kit or a pattern at Virginia Robertson Designs. 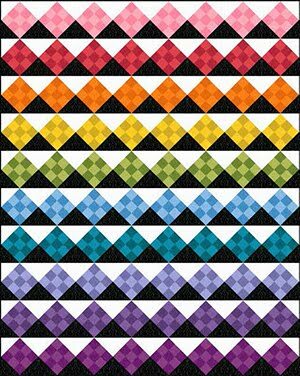 Elly Sienkiewicz learned to quilt from her relatives in West Virginia, and she embraced it with a passion. 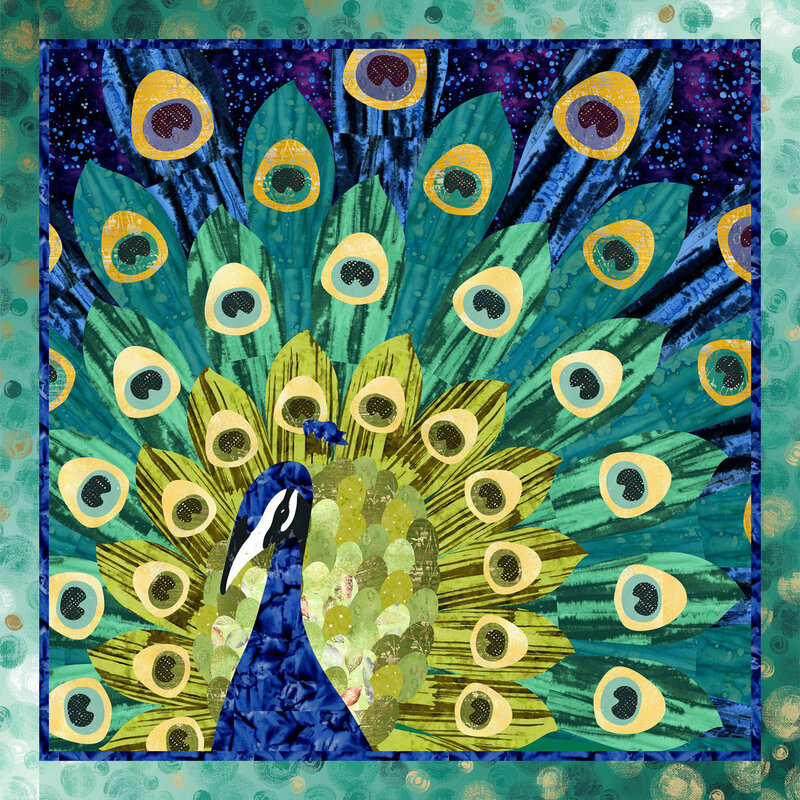 One of the best known and most popular designers of appliqued Baltimore Album style quilts, she founded her now famous Elly Sienkiewicz Applique Academy to share her love of both teaching and quilting. 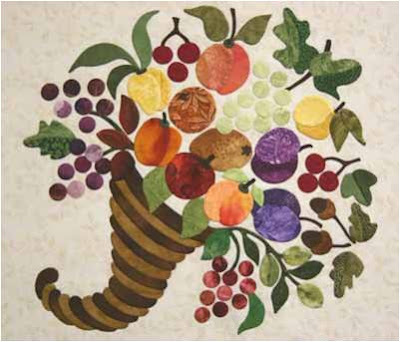 In the Cornucopia Block shown above, stitched by Karen Pessia, Elly's energetic and lively design really captivates the viewer, as grapes, peaches, apples, cherries, and anything else you can imagine leap out of the horn of plenty in a joyous arrangement. 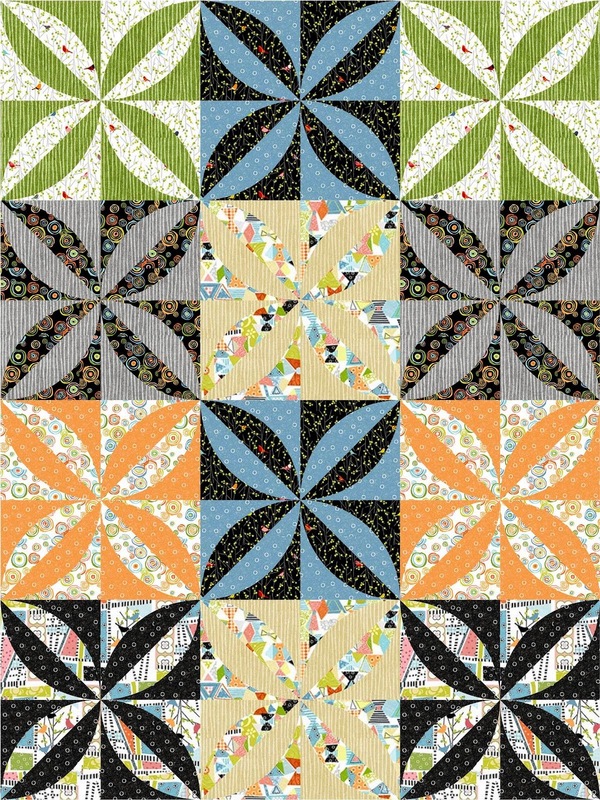 Her latest book, Elly Sienkiewicz's Beloved Baltimore Album Quilts: 25 Blocks, 12 Quilts, Embellishment Techniques has just been released this week. 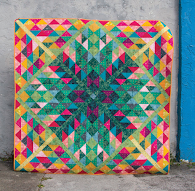 We can't wait to read it, as Elly's prolific designs and excellent instruction are such an inspiration to quilters everywhere. 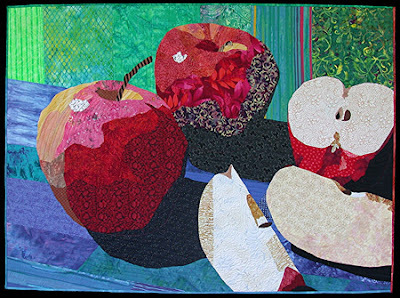 Displayed on the home page of Ellen Lindner's Adventure Quilter website, these tempting apples are made with exquisite colors and precision. 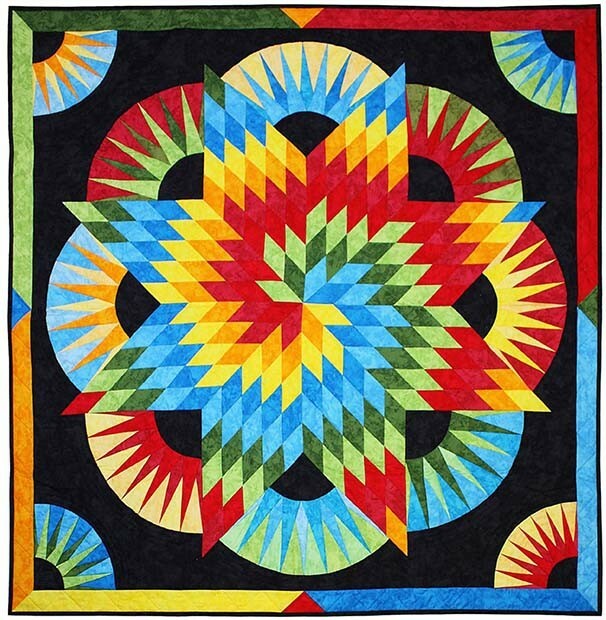 They seem to jump rights off this beautiful quilt, as they are so lifelike and three dimensional. 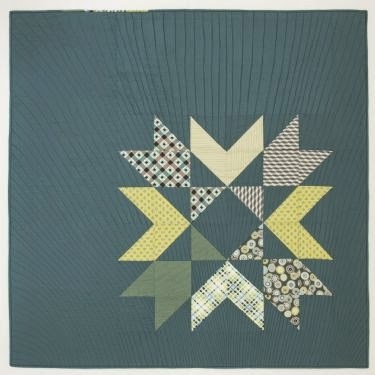 This quilt is an example of Ellen's double reverse applique process, and Ellen has published her own Double Reverse Applique E-Book, which can be downloaded immediately from the website. These e-Books are time-saving, convenient, and economical. 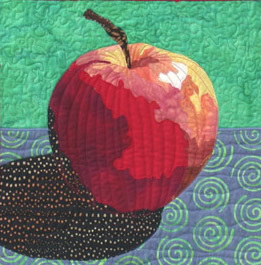 In order to make the beautiful "Apple A Day " block shown above,using the Double Reverse Applique E-book, you'll need a sewing machine capable of doing free motion quilting with dropped feed dogs and an appropriate presser foot. If you'd like to see another one of Ellen's beautiful still life designs, check out the July-August 2010 issue of Spaces Magazine, where Ellen discusses her background and inspiration for her fascinating art quilts. 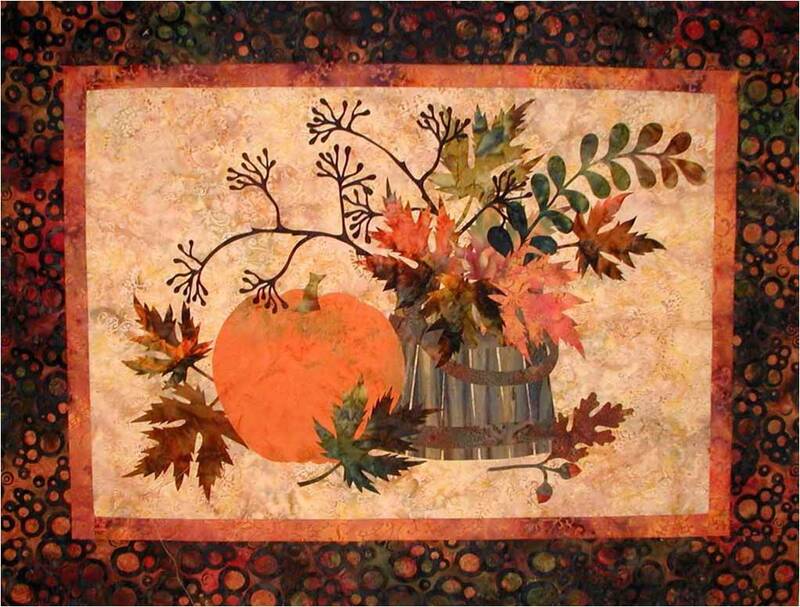 Here's a raw-edge applique pattern from Edyta Sitar at Laundry Basket Quilts which uses the elongated, delicate, lacy shapes of leaves and stems to really dress up a rustic harvest theme. Edyta's elegant and pleasing still life arrangement is rendered here in light-dappled Bali fabrics, but it would also look great in traditional prints. 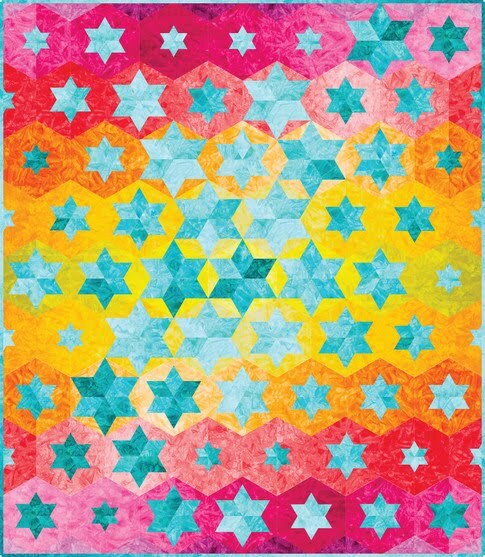 Edyta is a talented and prolific designer who always has something new and fun on her drawing board , including her recently published book, Friendship Strips and Scraps. 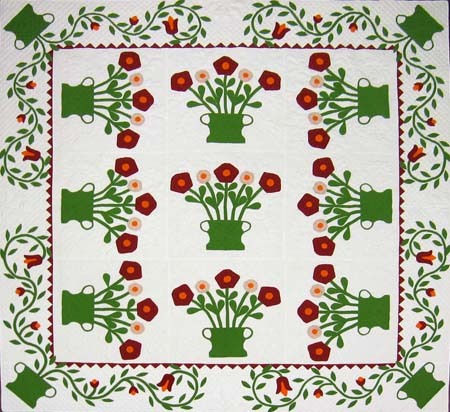 We've featured Edyta's inspiring creations several times before, including our posts titled Dresden Plate quilts and In Full Bloom. We've all heard the nursery rhyme about the blackbirds baked in the pie, but here they are, in a comical twist, standing on top of the fruit instead of inside it. 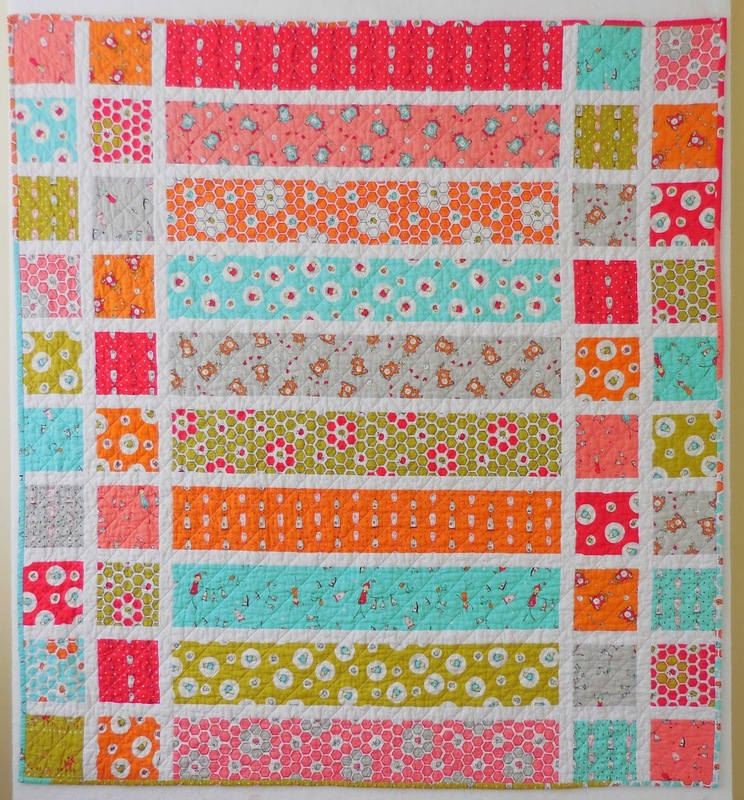 The cinnamon red batik border, the apricot print background,and the dark inner border go together beautifully. 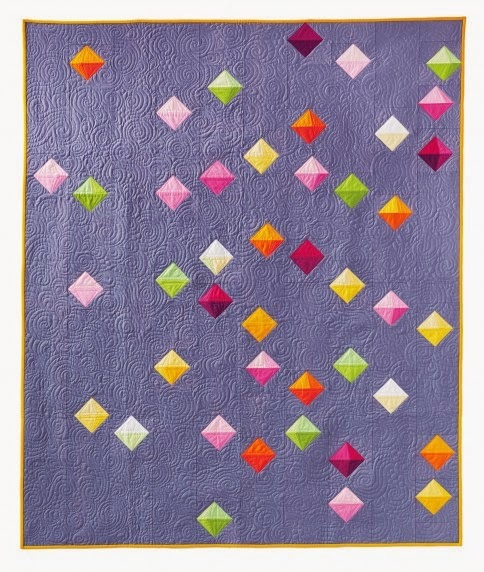 This quilt is constructed using the raw edge fusible applique technique, and the pattern contains Debi Hubbs' easy to follow instructions, a full size layout guide, and pieces already reversed for applique. 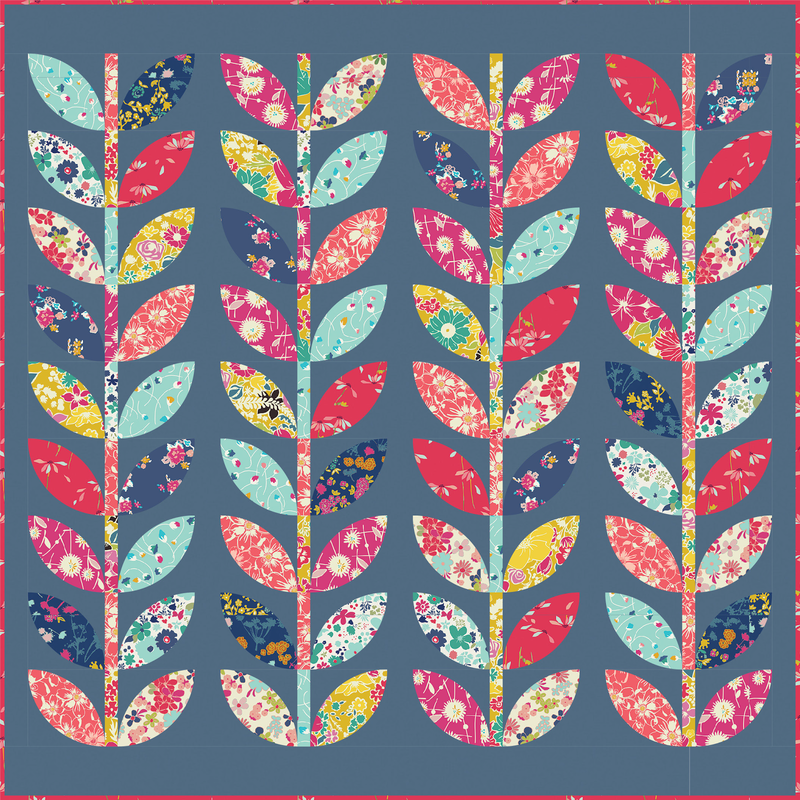 It's available at Debi Hubbs Art Blooms Online Store, where you'll see many other fun patterns for sale. 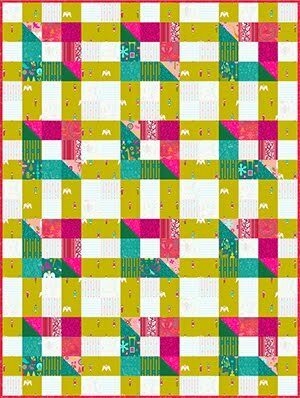 Cider Mill Road is comprised of 16 apple blocks, each one happily sporting a whimsical spiral which adds light and contrast to the pattern. 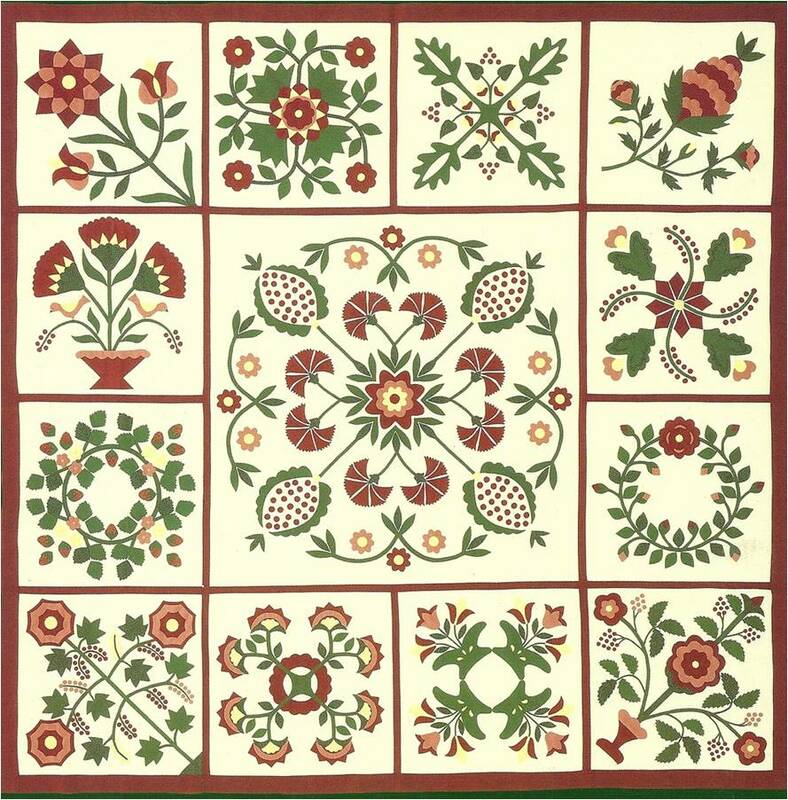 This pattern book which also includes pillows, table runners, aprons, and hot pads, is available at Nancy Halvorsen's Cider Mill Road products page. 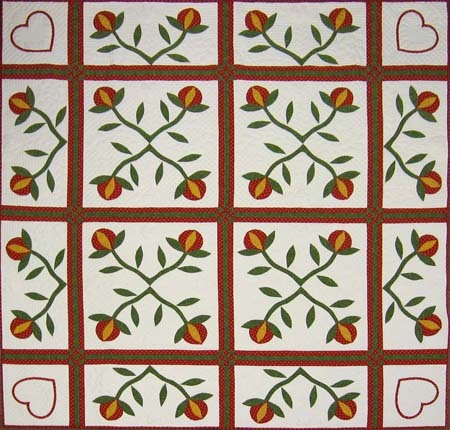 You'll also find other fun Art to Heart patterns and Nancy's fascinating books. 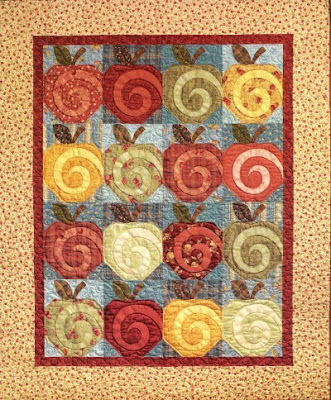 ﻿We love this charming fabric from Benartex, and we were glad to see that a Cider Mill Quilt Fabric Pack is available at Erica's Quilting website, which includes the fabrics to make one quilt top. 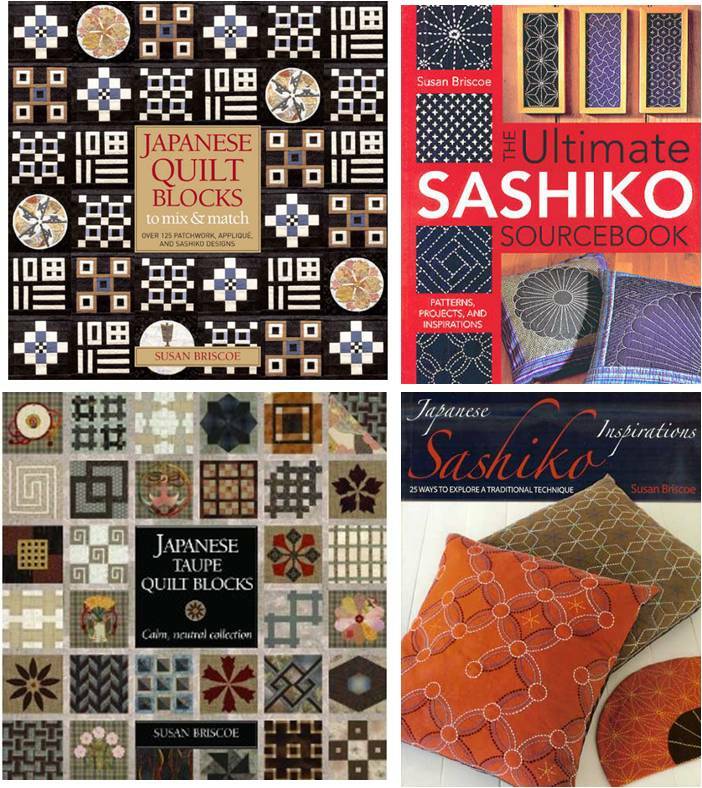 Recently we visited a quilt shop in the San Francisco Bay area which had a wonderful selection of Japanese fabrics. We saw bolt after bolt of fine cottons displaying fans, geisha, kimono, and other quintessential Asian motifs. 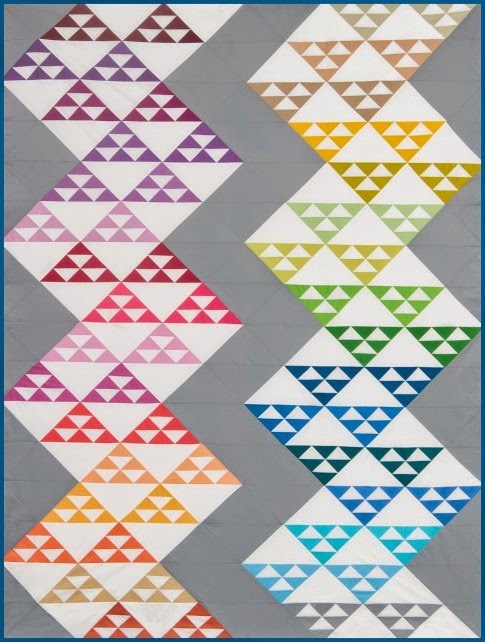 That "field trip" got us thinking about how we might incorporate the dramatic, large-scale Japanese fabrics into quilts. 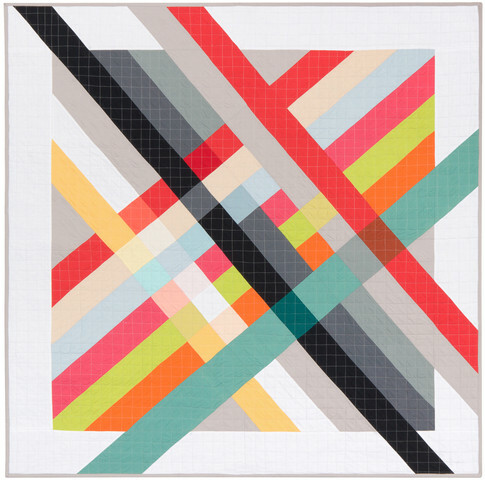 We wanted to show you some gorgeous quilts by leading designers that truly inspire us. 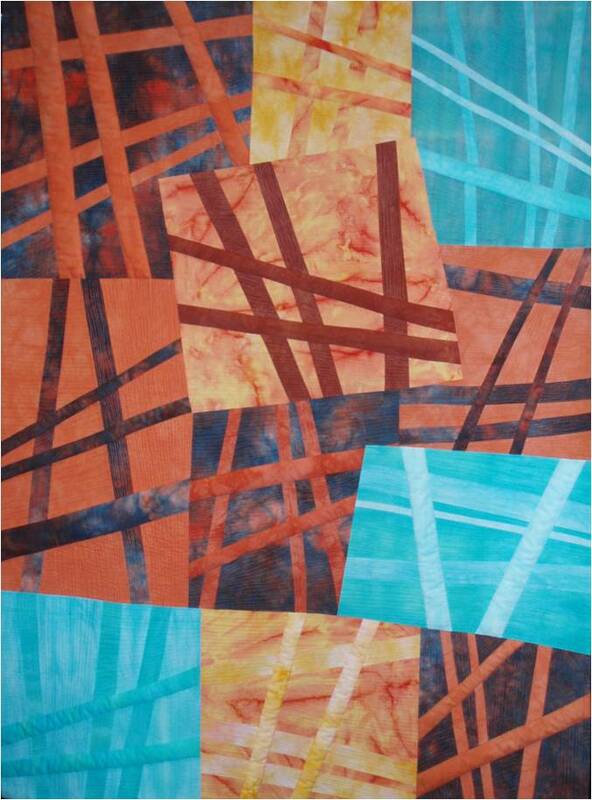 Susan Briscoe is a UK-based textile artist, quilter, teacher and a world expert in Japanese quilting. 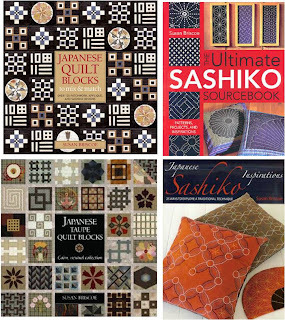 She is author of many acclaimed books, including Japanese Quilt Blocks to Mix and Match and The Ultimate Sashiko Sourcebook, among others. 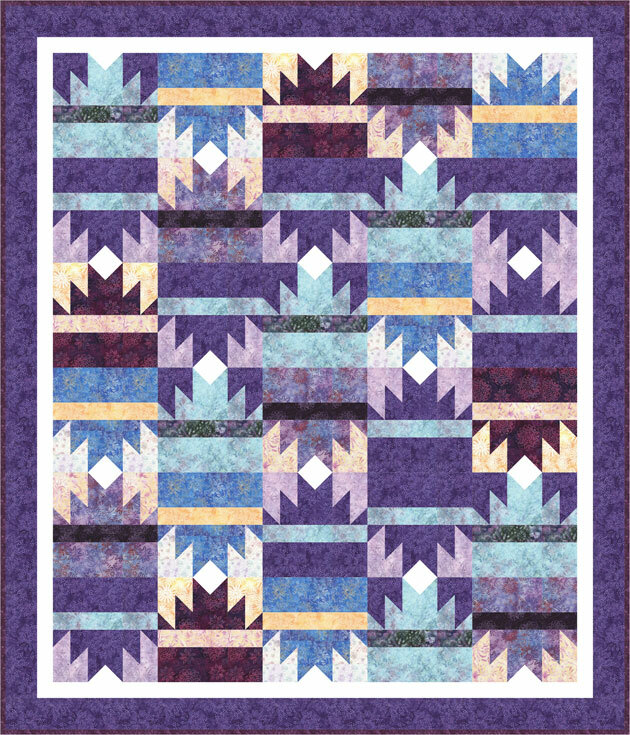 Susan also offers a wonderful selection of quilt patterns for some of her most popular designs, including the award-winning "O-neesan" (elder sister) shown above. 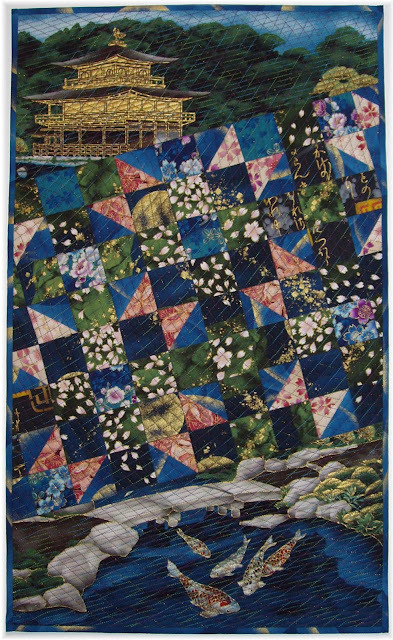 The top and bottom borders of O-neesan were cut from a single Kona Bay fabric panel featuring a serene Japanese landscape, with a pagoda in the upper section and a koi pond below. 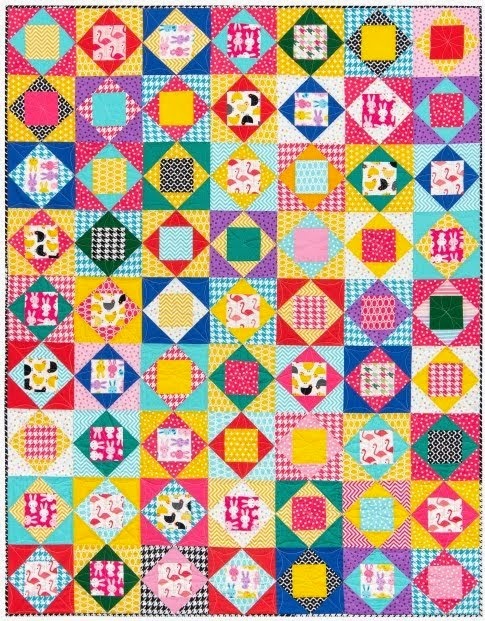 The patchwork section is made by overlapping one traditional "Sister’s Choice" block with another to produce an interesting pattern of 2 inch squares. 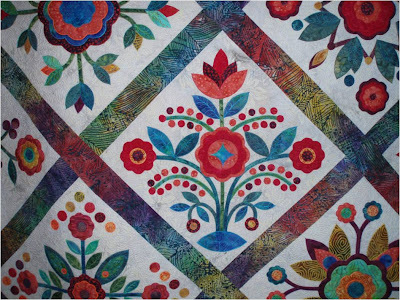 The patchwork enlivens the design and complements the large motifs in the fabric panel, as the eye tends to look for a continuation of the large motifs in the patchwork section. 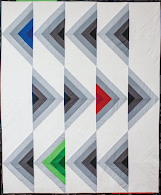 You can read about the design and quilting of O-neesan at this blog post. 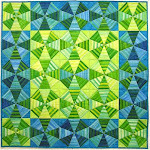 At Susan Briscoe Designs and her blog you can learn about patchwork, quilting and sashiko. Also, on her quilt patterns web page, be sure to check out "99 Treasures" and "Japanese Fans". 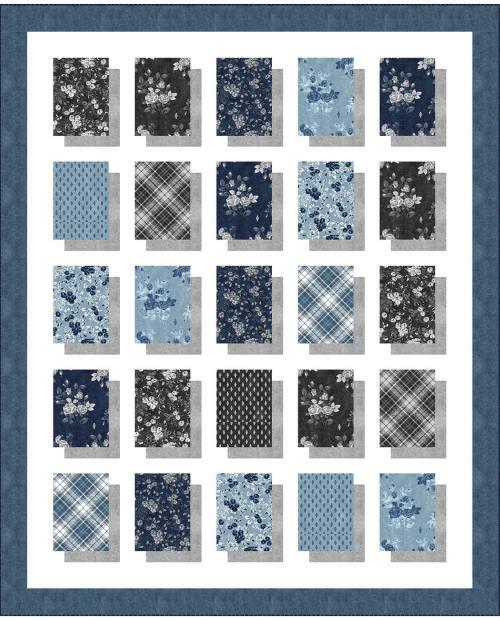 On the website you can even find Sashiko kits, and a sewing pattern for a Yukata kimono ! 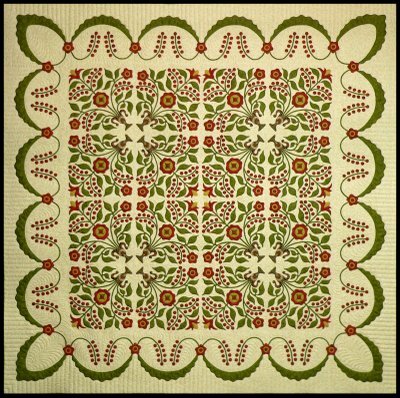 Also, scroll down to the bottom of this post for links to Japanese quilting books by Susan Briscoe. 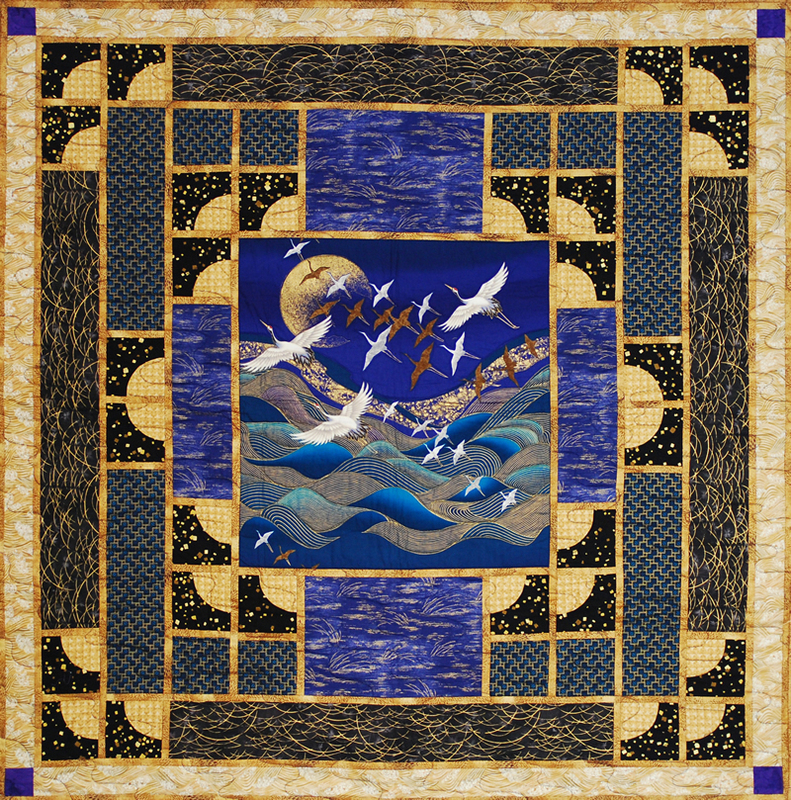 Diane Weber is an artist, photographer and quilter who loves Japanese imagery and fabric. 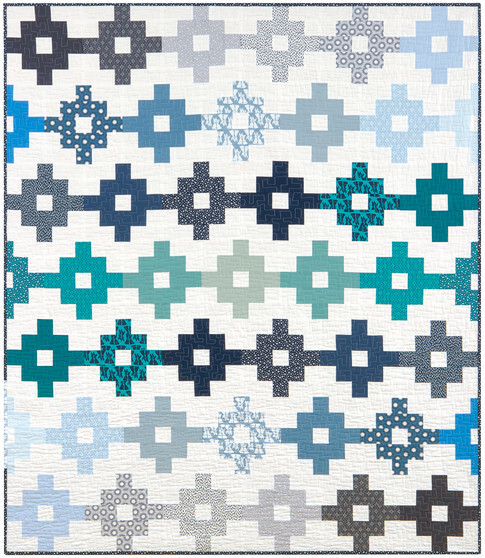 From her home base in the San Francisco Bay Area, Diane has developed a wonderful line of contemporary patterns, including many that are specifically designed to showcase Japanese fabrics. 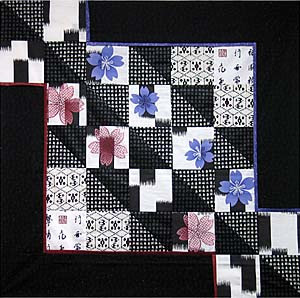 "Yukata by Numbers" is one of Diane Weber's newest patterns. The name Yukata comes from the word "yu" (bath) and "katabira" (under clothing) and refers to not only the traditional Yukata kimono but also to the lightweight dyed cotton fabric from which the kimono are made. 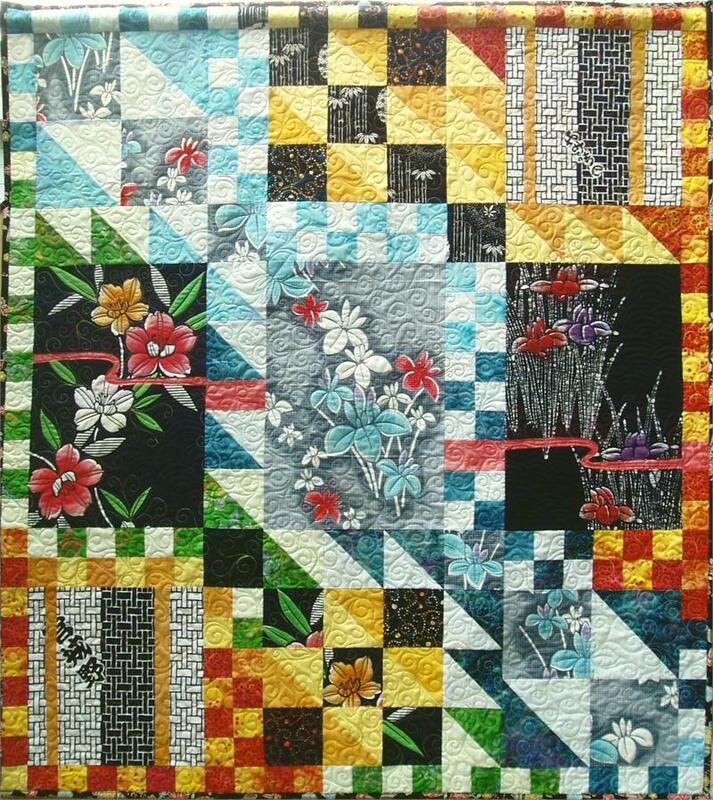 "Yukata By Numbers" can be seen at Diane Weber's Sew Biz and at Quilt Woman. 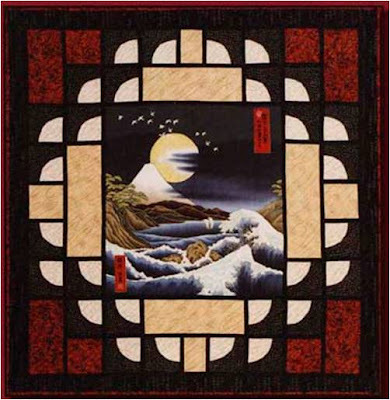 Haiku is a traditional form of Japanese poetry, and the name of this quilt, which demonstrates that "less is more". We love the zen-like black-and-white color scheme, with just a touch of color. 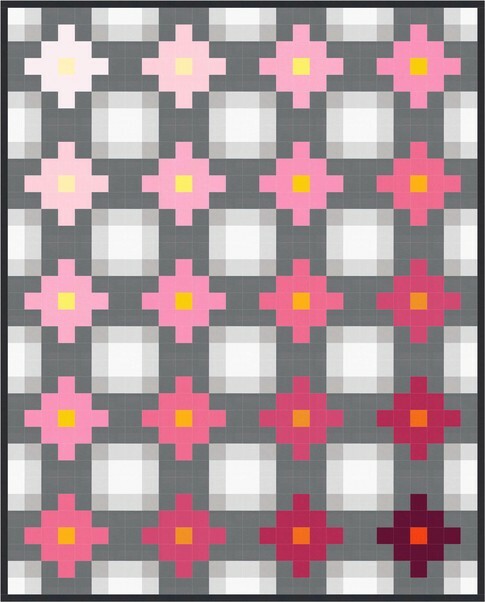 For more information, and to obtain the Haiku pattern, visit Quilt Woman. 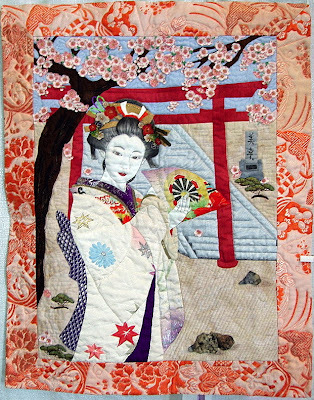 Also be sure to check out the beautiful Yukata Cut It and Hanafubuki patterns at Quilt Woman, and visit Diane Weber's Artsy Craftsy blog, which is chock full of fun ideas for quilts, artist trading cards and photography. 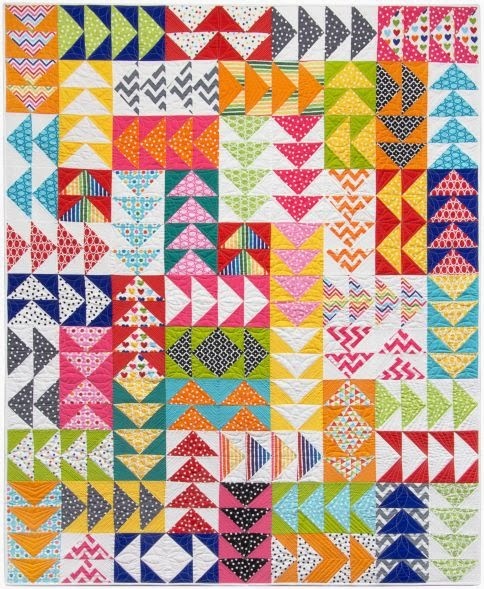 Cary Flanagan discovered quilting in the late 1980's, and launched her design firm - Something Sew Fine - in the spring of 2004. 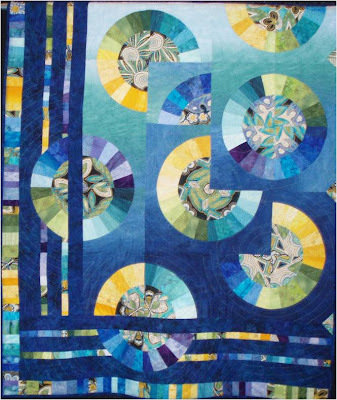 The magnificent quilt shown above graces the cover of Cary Flanagan's first book, Moon Dance - a Quilter's Creative Journey. 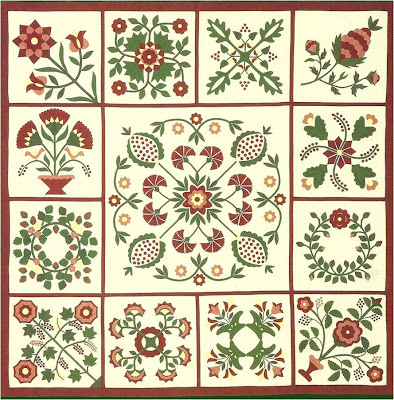 For the book, Cary collaborated with a group of twelve outstanding quilters to provide samples of each of the unique patterns. 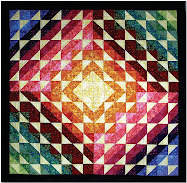 One example from the book is the lovely "Moon Glow", shown below, which was pieced and machine quilted by Trudi Costa. 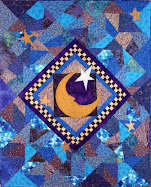 For a further description of the moon quilts in the Moon Dance book, see the Moon Dance page at Quilt Woman. 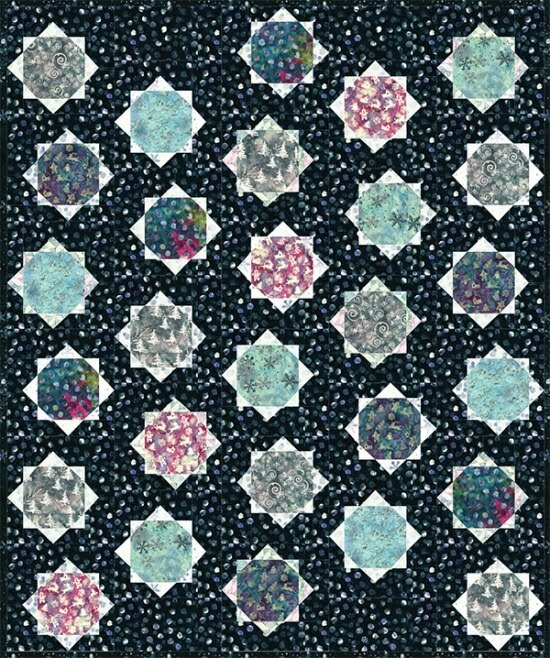 The many "Moon Dance" variations remind us of a series of vintage Japanese prints known as One Hundred Aspects of the Moon (Tsuki Hyakushi). 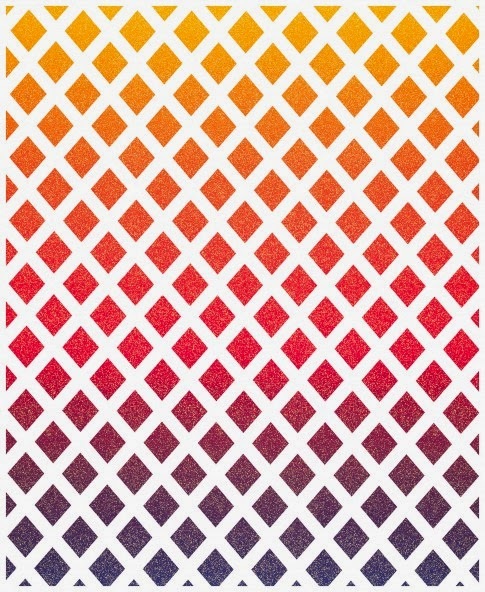 The Tsuki Hyakushi prints have diverse subjects, but share one common theme - the moon - which is visible on each of the 100 designs. 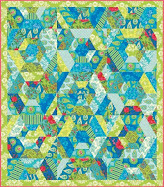 Cary Flanagan's designs are also featured in the Asian Fabric Magazine by Kona Bay fabrics. 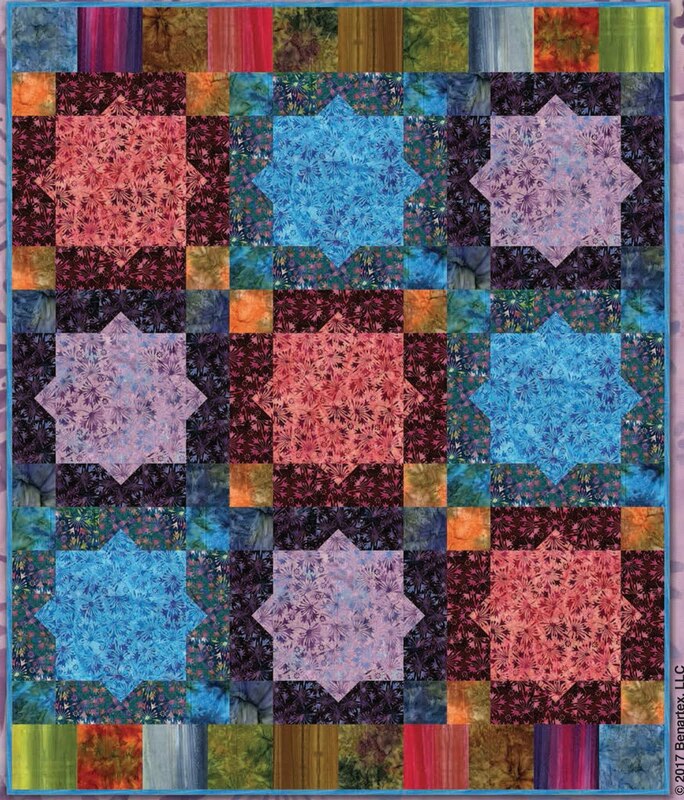 She says: "My first design was published in the January 2010 issue and I have a second design coming in the November 2010 issue (should be out in the next couple of weeks). I will have a third published in February 2011 and hope to keep providing them with new designs every couple of months." Japan’s repertoire of symbolism is large and diverse, but several themes are seen frequently in Japanese art. 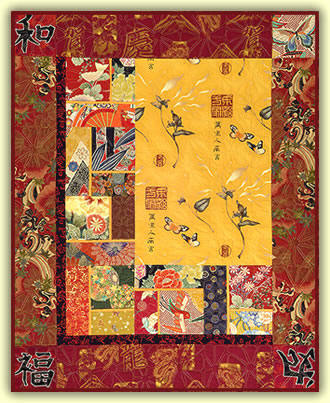 Among the most well known themes are the cherry blossoms, maple leaves, peony, crane, and bamboo. 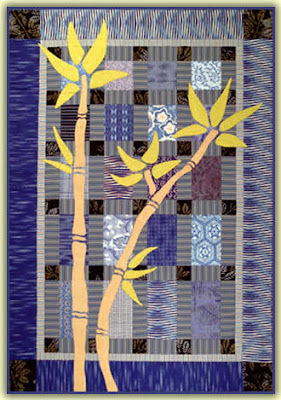 "Bamboo - Blue" , by famed quilt designer Cheryl Wittmayer, displays graceful yellow bamboo stalks on a pieced and quilted blue background. 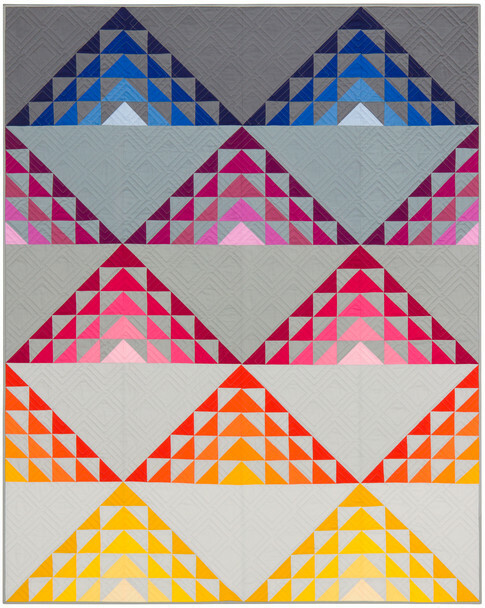 Cheryl Wittmayer played "what if" with this design, creating four different colorways. 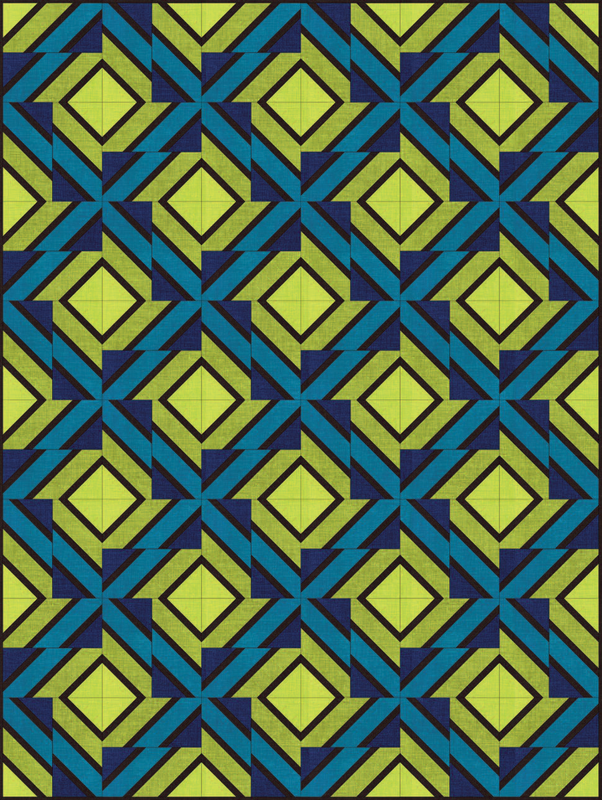 The blue version shown above also reminds us of traditional Japanese indigo dyed fabric*, which would be so effective in this quilt pattern. 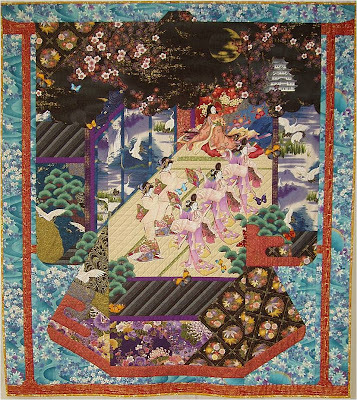 In "Main Feature-Asian", below, also by Cheryl Wittmayer, the fabric is definitely the main feature. The luscious red, orange and yellow panels display classic Asian motifs such as fans, flowers, butterflies, dragons, Kanji, and Baiwen (Asian stamps). 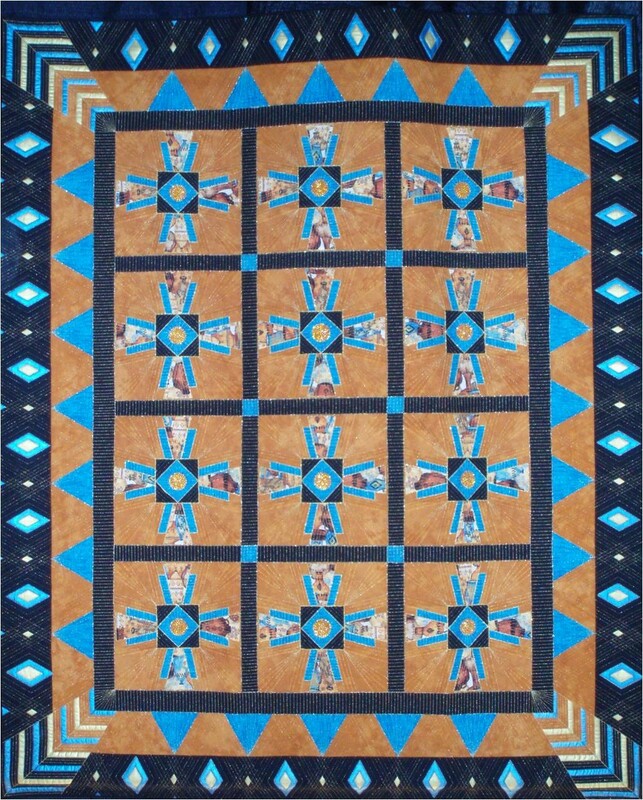 The Main Feature- Asian pattern makes a 40" x 49" quilt. 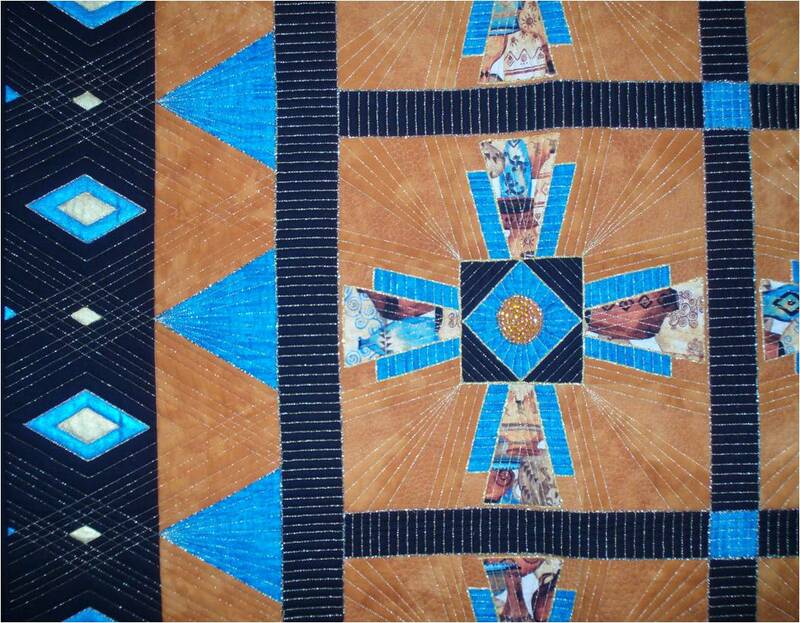 You can also see Main Feature - African and Main Feature - Amy Butler Fabrics. Susan Briscoe's spectacular Kona Bay 2009 challenge winner, "Butterfly Dance", is a Japanese art quilt that amazes and intrigues us. 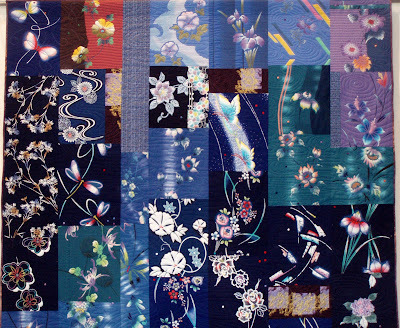 Butterfly Dance is essentially a fabric collage in the shape of a life-size kimono robe (uchikake). 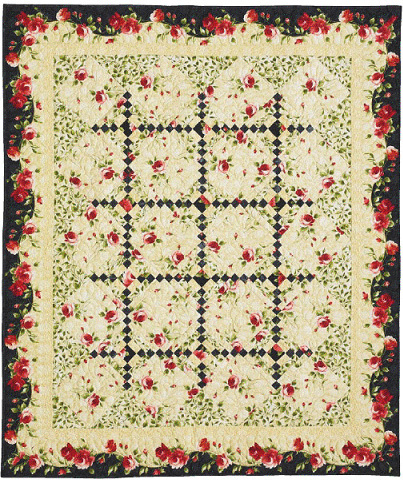 The richly detailed fabrics seem to flow across the surface of the quilt, and the arrangement of light and dark fabrics is perfectly choreographed to give the impression of depth (click on the image to see the detail). 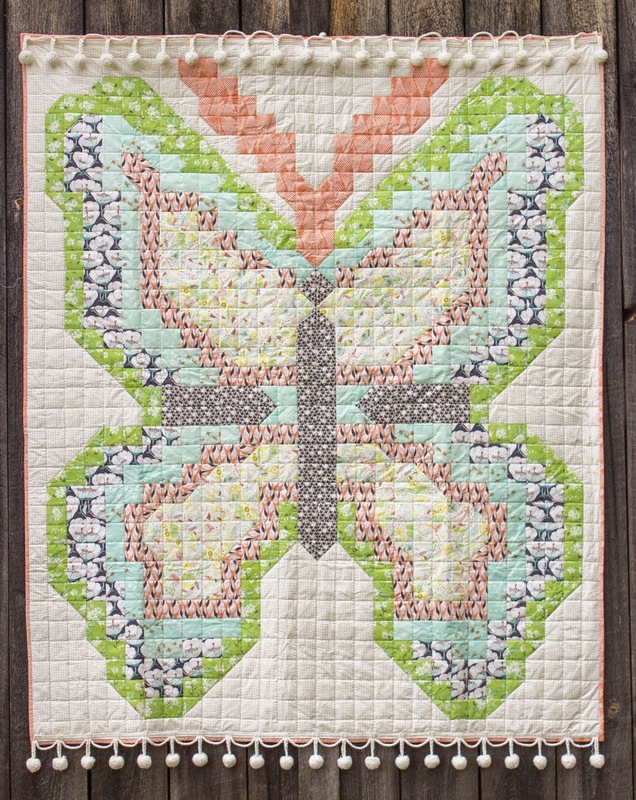 You can read about the fabric selection, quilting and finishing of Butterfly Dance at Susan Briscoe's blog. This work of art is currently enroute to Japan, where it is going into a quilt exhibition in Yamagata Prefecture. 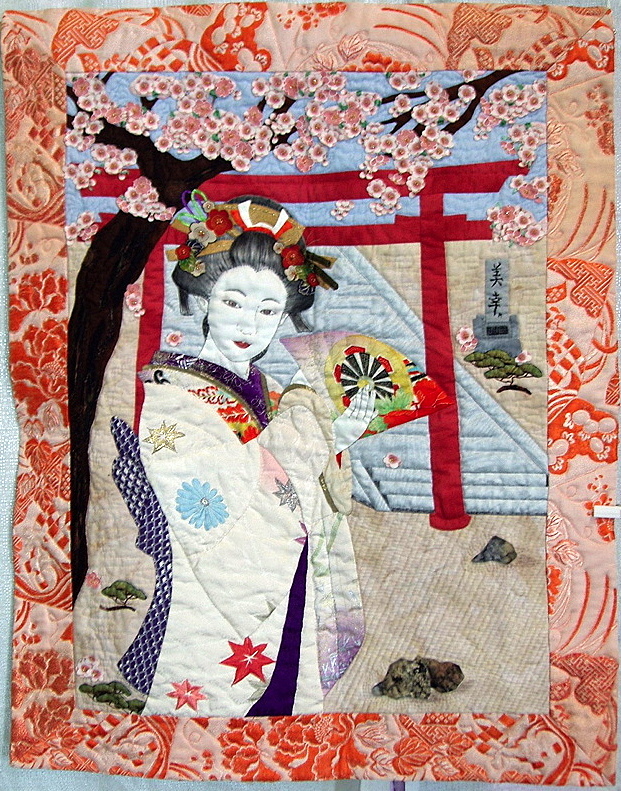 Memoirs of a Geisha, by Pat Masterson, at Coastal Quilters Guild, Inc.
We first saw the award-winning "Memoirs of a Geisha" at a 2008 show held by the Coastal Quilters Guild in Santa Barbara, California. 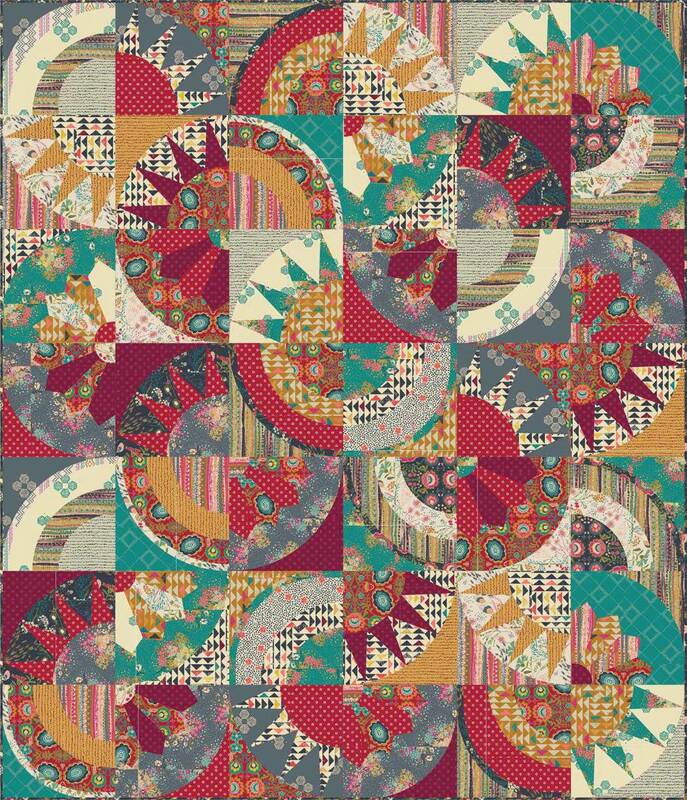 The quilt was inspired by a trip to Japan and the textiles used in vintage clothing. The hand, face and hair were hand painted with Tsukineko ink. 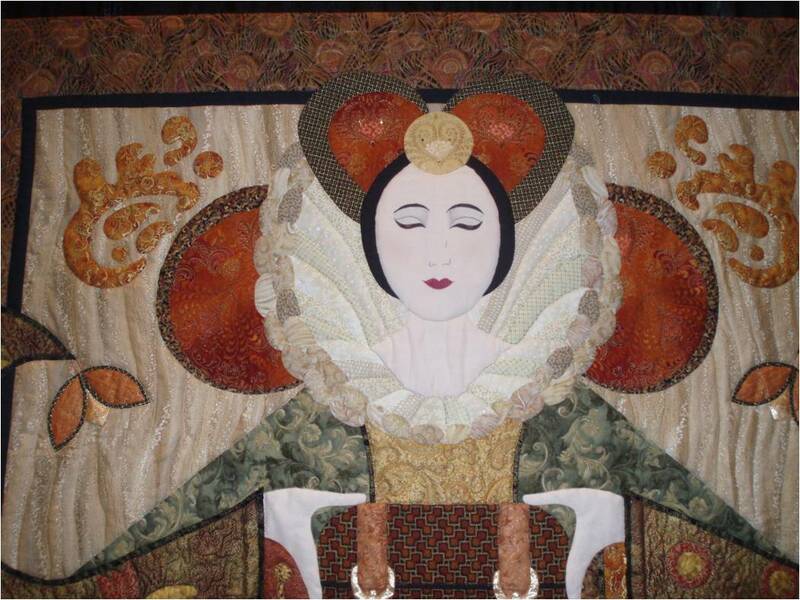 The clothing was hand appliquéd using scraps of antique kimono silk fabric purchased at flea markets in Kyoto. 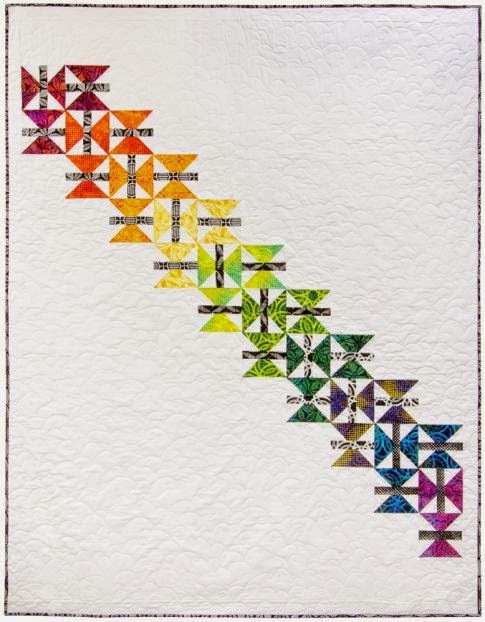 The border was made from an antique obi with machine quilting accentuating the design. The appli-bond technique creates a three dimensional effect in the cherry blossoms and decorative hair piece. The quilt won first place in the Small Pictorial Mixed Category at the show. 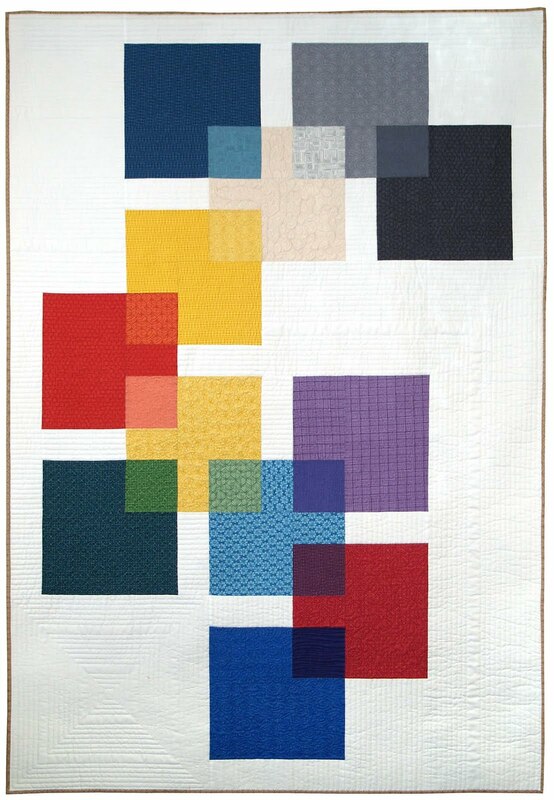 "Japanese sampler" by Margo Weeks was one of the quilts we loved at the 2010 "Voices in Cloth" show. 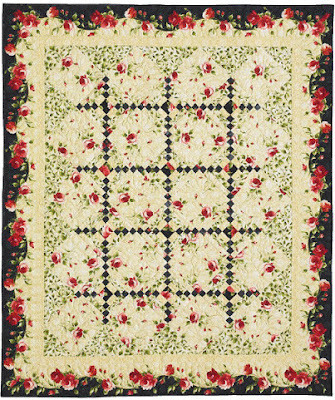 This quilt demonstrates that with careful selection and arrangement of beautiful fabrics, even a simple sampler can be visually stunning. 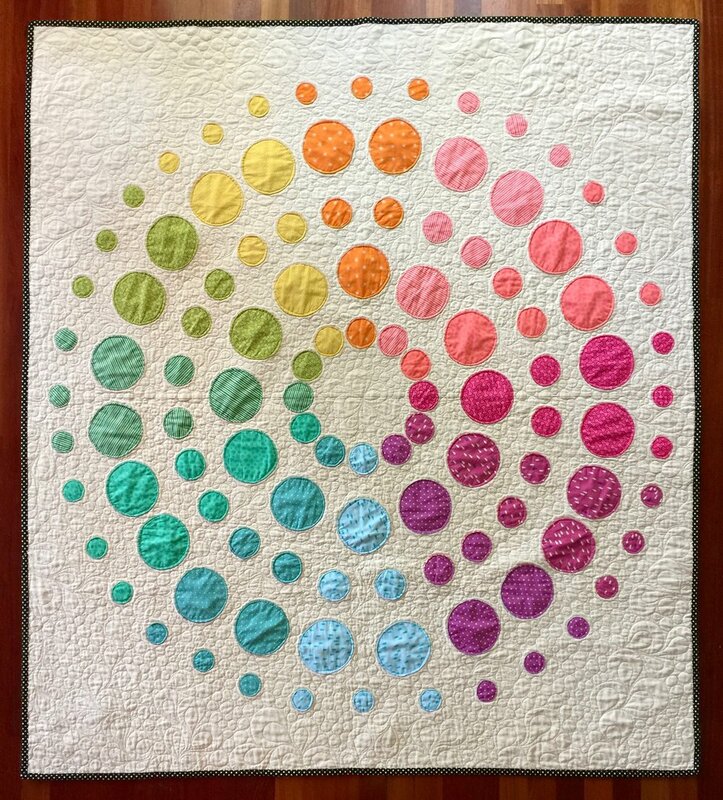 We love the hand-quilted concentric circles, which mimic the ripples in a pond (click on the image to see the detail). 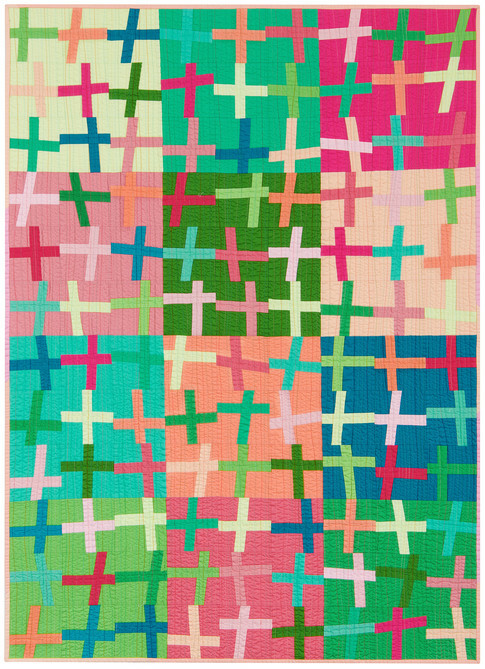 Margo Weeks noted: "I was given some Japanese fabric samples many years ago. 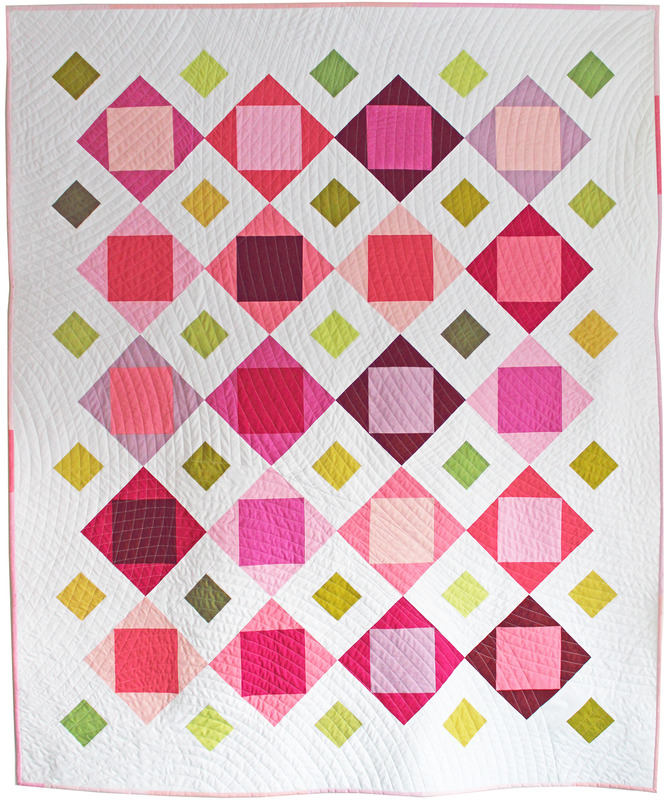 Last year, with the help of Rebecca Rohrkaste, I put this quilt together. 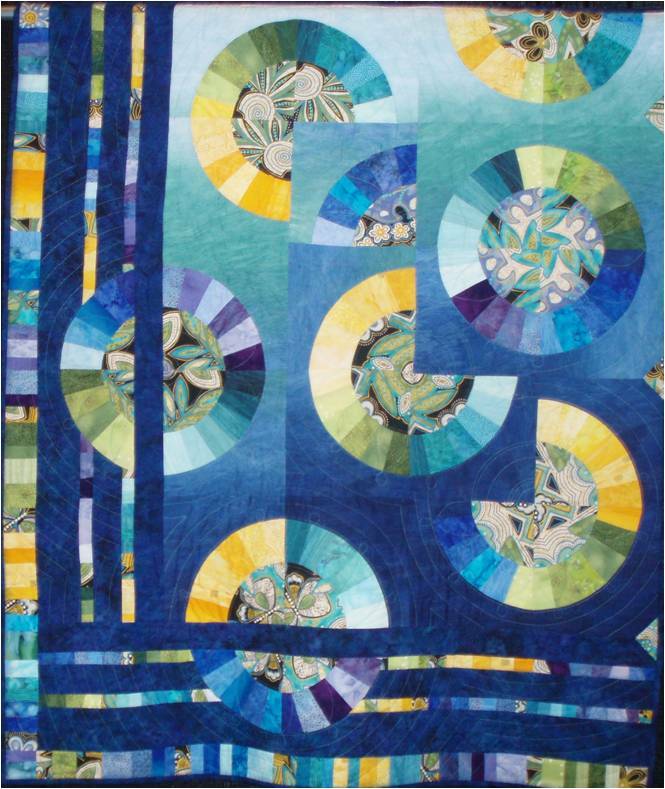 The hand quilting of water and the small dots helped bring this piece together." 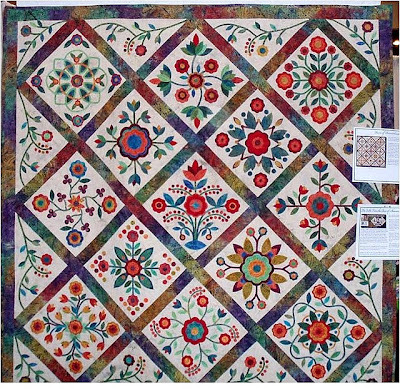 For perspective on the large size of this quilt, you can see a photo of Margo standing next to the quilt at the EBHQ show-and-tell site. 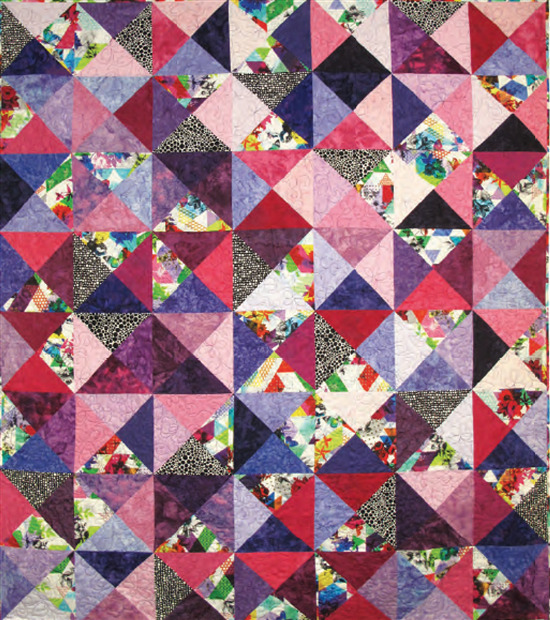 Quilt shops and fabrics: The quilt shop mentioned in the first paragraph is Stonemountain and Daughter in Berkeley, California. 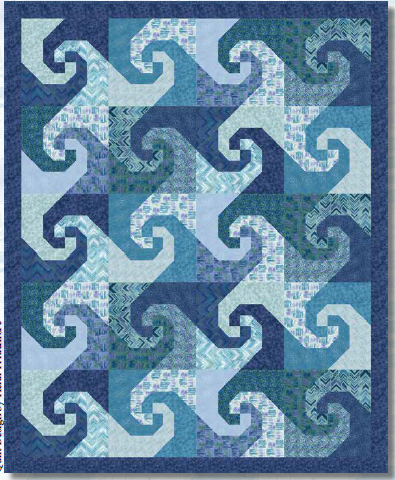 For information on Kona Bay fabrics, which were used in several of the quilts shown here, visit the Kona Bay website. 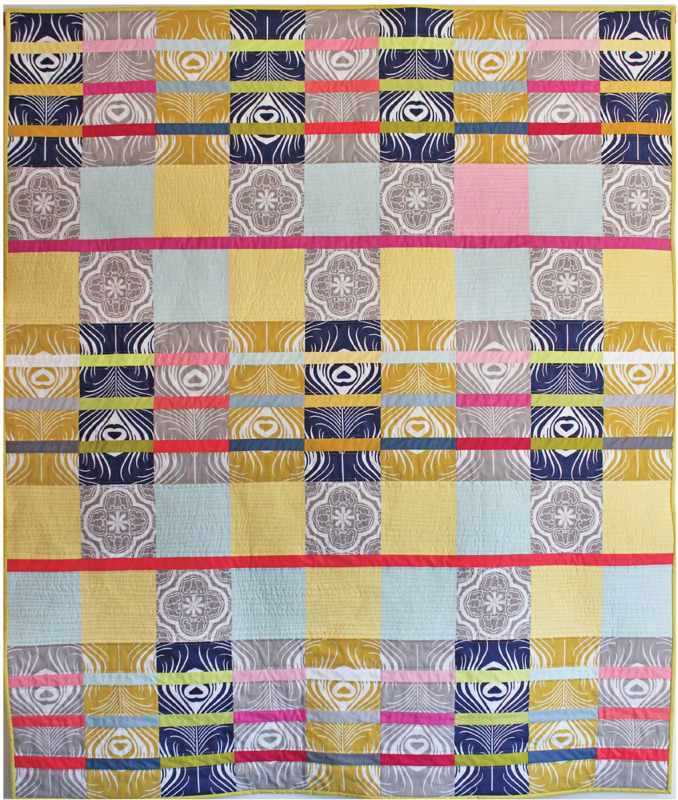 *For a selection of indigo fabrics, also see Shibori Dragon and Clothaholics. 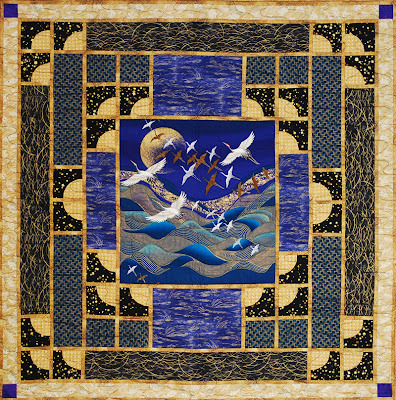 A true feast for the eyes, the Pacific International Quilt Festival was held from October 14-17, 2010. 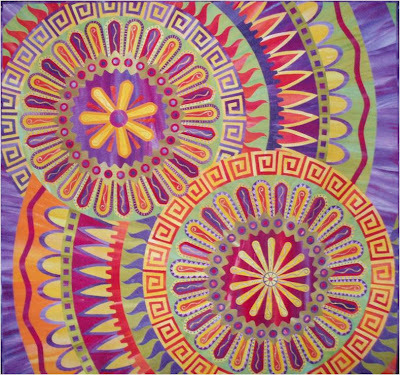 Nearly one thousand displays of quilts, wearable art, and vendors' items captured the imagination of the large crowd that attended. 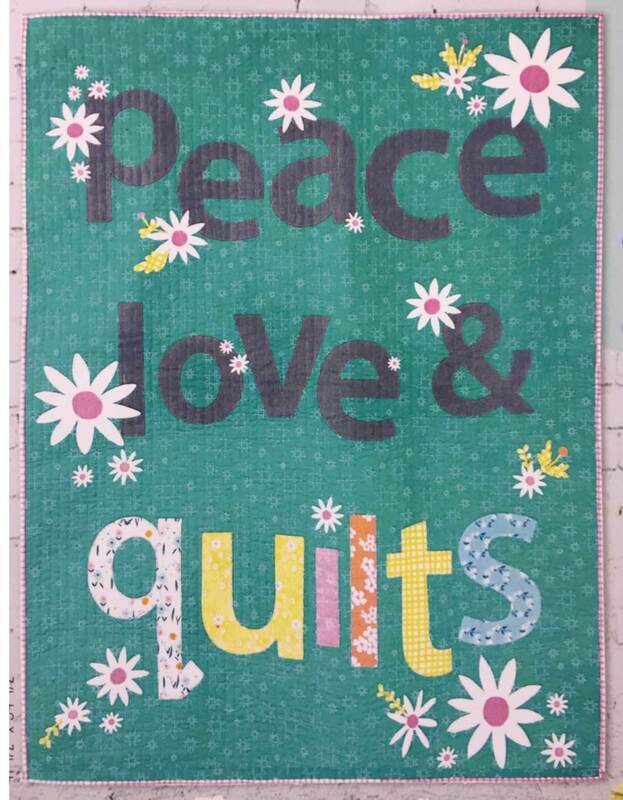 The theme of this year's festival was "Escape", and the quilters did a fabulous job of translating that theme into fabric and thread. We've selected some photos of quilts which we thought were especially eye-catching, even if they were not all top prize winners. Sylvia Gegaregian finds her "escape" in beautiful flowers, which she buys often to dress up her home. 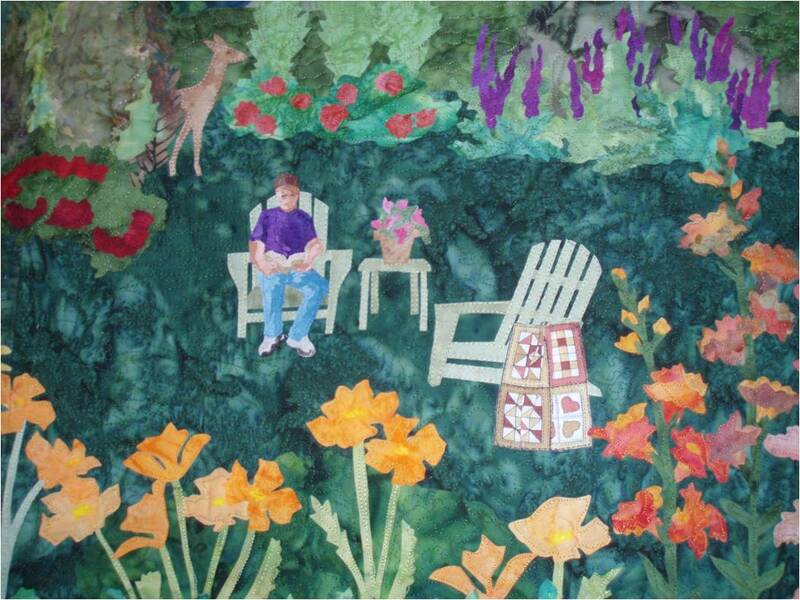 Sylvia writes, "This is my effort to extend that life and beauty onto fabric. 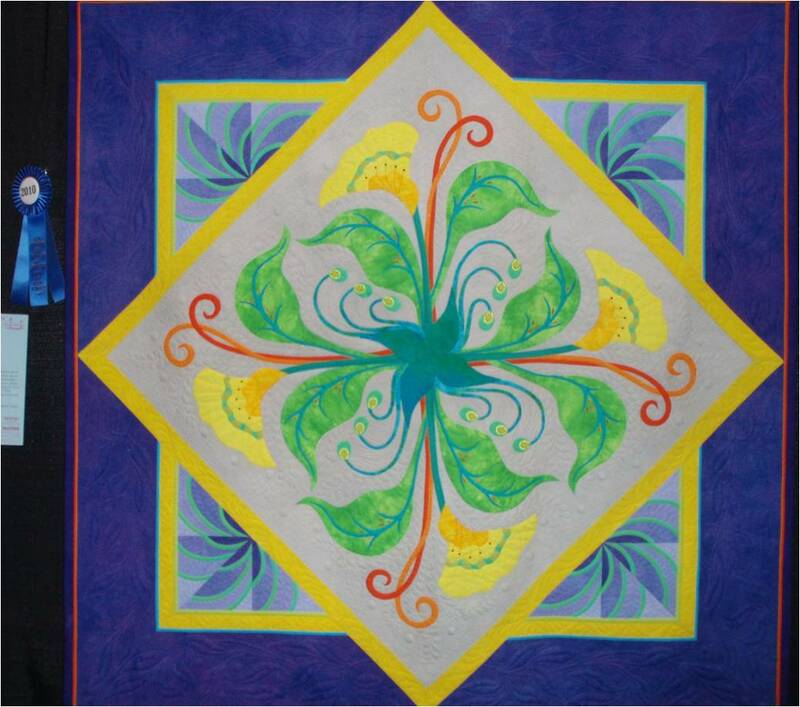 Dressing up my calla lilies for their quilt portrait allowed me to enter the realm of 'what-if'. This freedom probed to be an extraordinary experience of discovery and learning. " Close Up of "Dancing Calla Lilies"
Sylvia's "Dancing Calla Lilies" won this year's blue ribbon for Best Machine Workmanship. 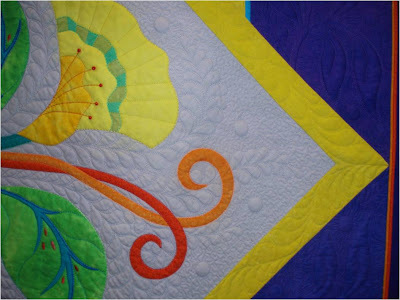 Above, you can see the lovely and intricate quilting that went into this work. 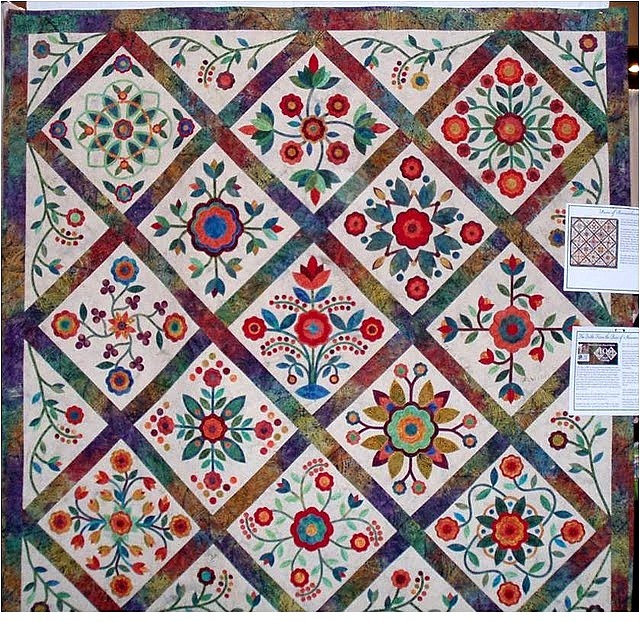 Sylvia is a back-to-back award winner, as Pacific International Quilt Festival also awarded her quilt "In Full Bloom" the 2009 prize for Best Use of Embellishment. 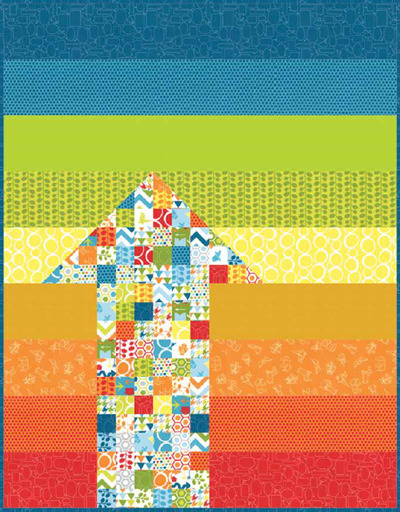 That quilt is now the cover for the upcoming 2011 Calendar of the American Quilters Society. Ingrid Cattaneo made this quilt in remembrance of the movie "Papillon", which depicted the attempted escapes of a wrongly-convicted prisoner from a penal colony in French Guiana. 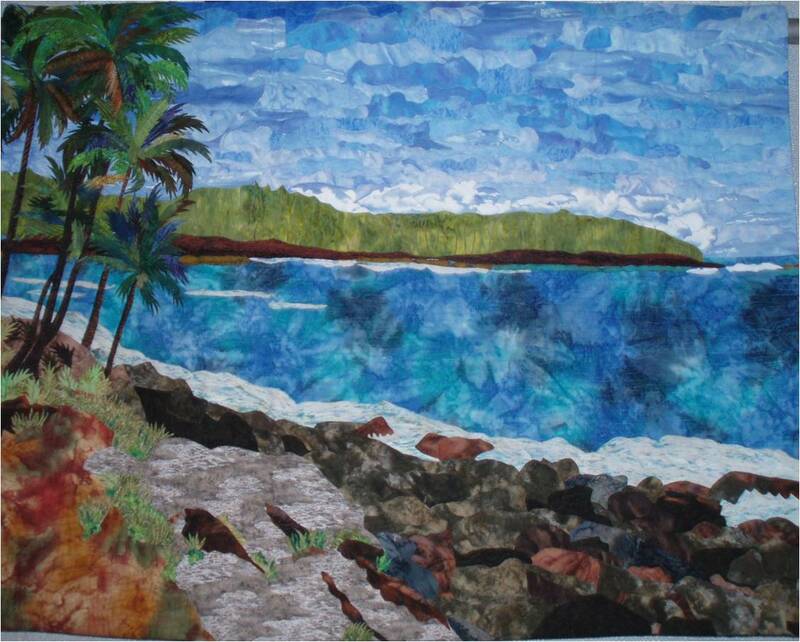 The inspiration for the quilt came from a photo that Ingrid took of a tropical beach while on vacation. She turned the photo into a strikingly coloful landscape quilt, in which the pieces are raw-edge fused appliqued, then machine embroidered. 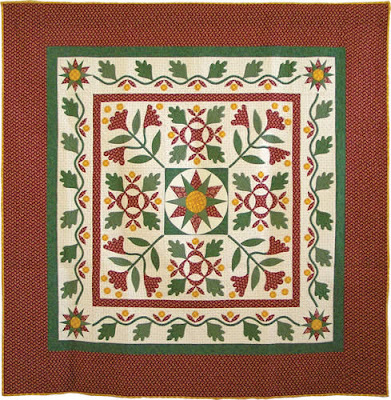 A member of the Pine Tree Quilt Guild near Grass Valley, CA, Ingrid has won previous quilt show awards for her detailed workmanship. 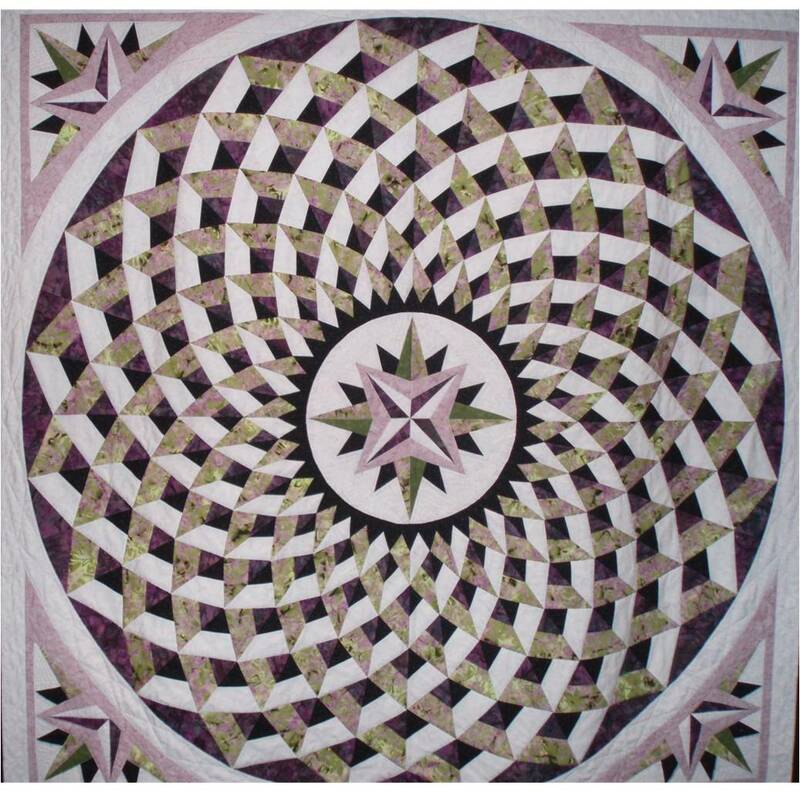 The Rose of Sharon quilt was started as a quilt block challenge to raise money and awareness for the Alzheimer's Quilt Initiative. 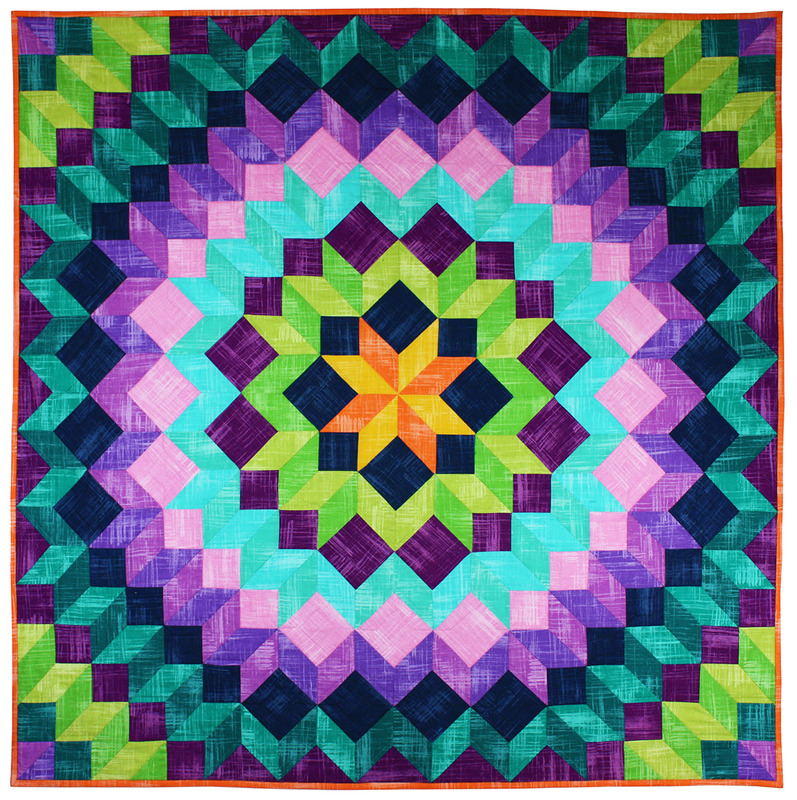 Over 850 blocks were submitted by quilters around the world as part of this competition. 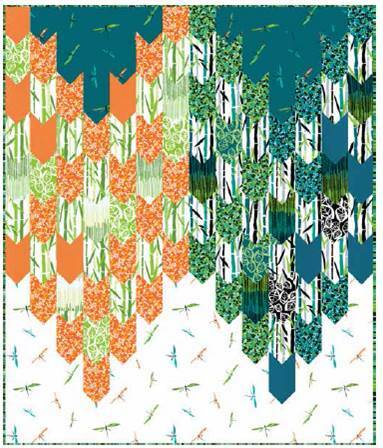 Island Batik generously provided the beautiful Bali fabric for this challenge. Patterns and directions for creating these blocks have been published in The Rose of Sharon Block Book. Amazingly, only three simple shapes were permitted to be used in the block designs: a blossom, a leaf, and a circle. We were amazed at the artistry and symmetry of the winning blocks. 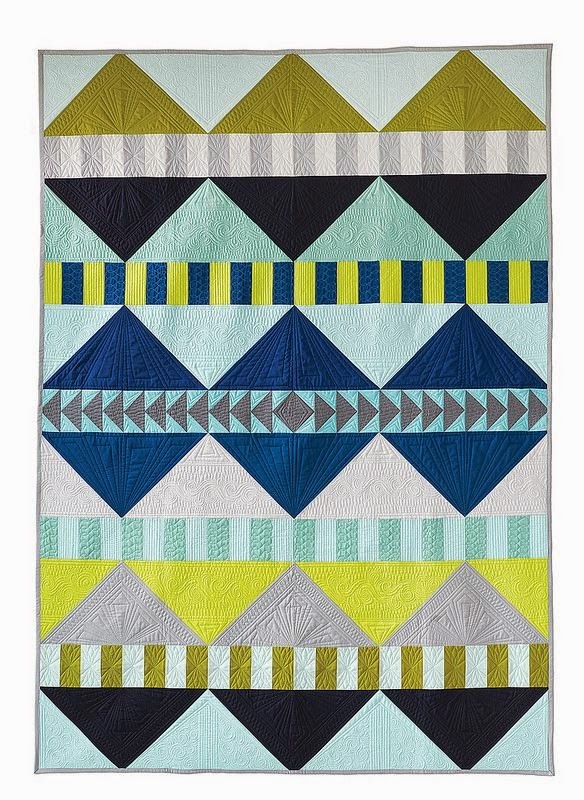 Truly, this quilt is a tribute to the skill and elegance demonstrated through the medium of applique. 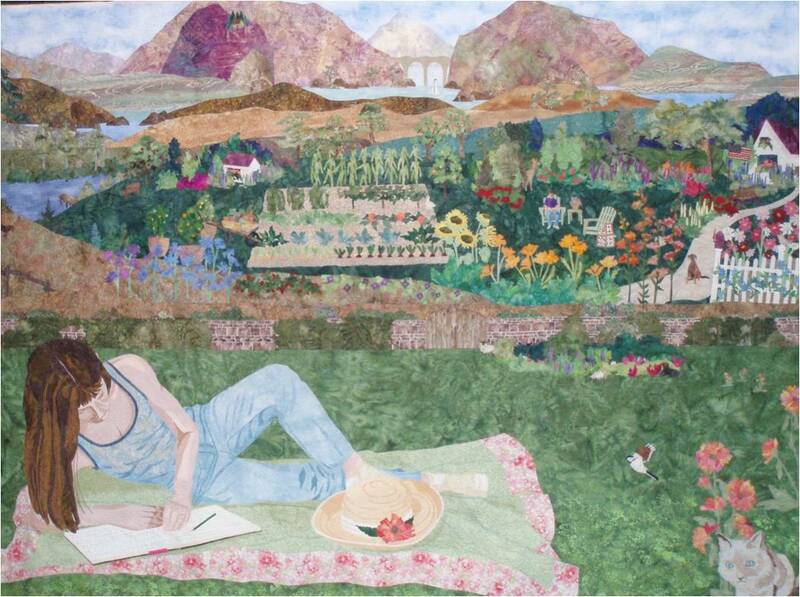 Winner of this year's blue ribbon for "Best Interpretation of Theme", Penny Hanson writes, "Art is my personal escape. This art work began as a 4 value graphite self-portrait. Then the day dreaming began. I felt like a quiet spring day far removed from the responsibility of my normal life. While considering the setting and the landscape, the art quilt began to take form, leading me from my life into the realm of the extraordinary world of creative imagination. " Close-Up of "What's Your Dream?" According to Greek mythology, Pandora was the first woman on earth, who opened a box given to her by Zeus, king of the gods, thus allowing all the troubles of the world to escape. 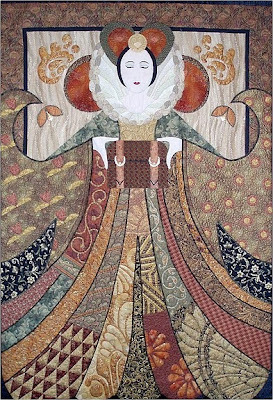 Here, Pandora is depicted in a richly patterned dress reminiscent of Elizabethan times, complete with an adorning neck ruffle. The flowing lines of her dress help to give this work both movement and symmetry. In this close-up you can see the beautiful piecing of Pandora's neck ruffle, along with the background of shimmering, iridescent fabric which helps to highlight Pandora's face. These two quilters provide a wonderful narrative of how this fascinating, intricately pieced, "Best of Show" winner came to life. 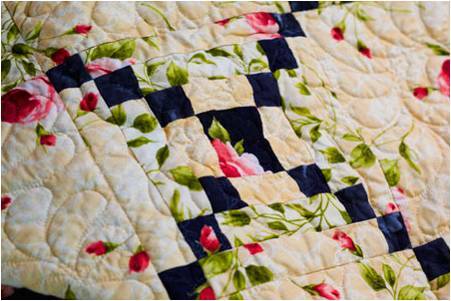 Claudia writes: "It all started with an antique Japanese obi that Marilyn purchased at a quilt show and challenged me to do something with it. 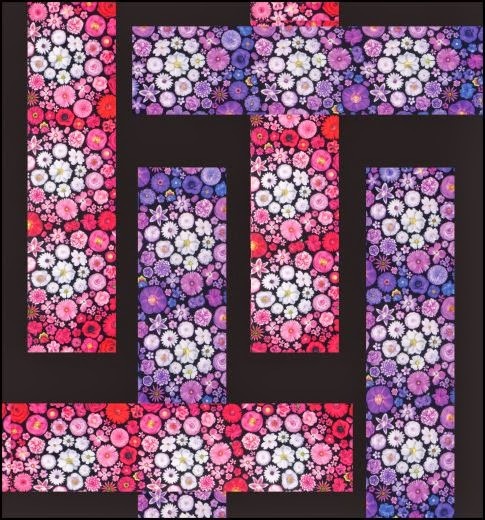 Then I copied, embroidered, and appliqued the flower motifs from the obi onto the quilt and designed an elongated paper-pieced block that looked sort of like a jewel, using it for a border. 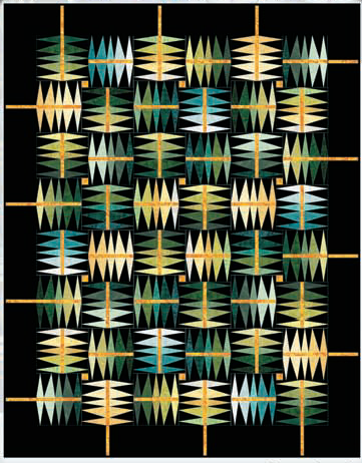 Marilyn elaborated on many of the obi motifs for her elegant quilting designs. She used 10,000 yards of thread to bring them to life. " 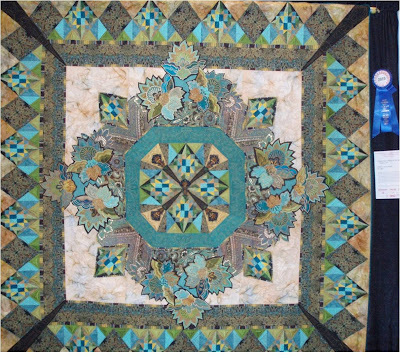 If you attended this show in person, then you know that the photos don't really do justice to the lovely dimensional piece, below, in which sparkling leaf shapes gently float and flutter on top of the quilt. 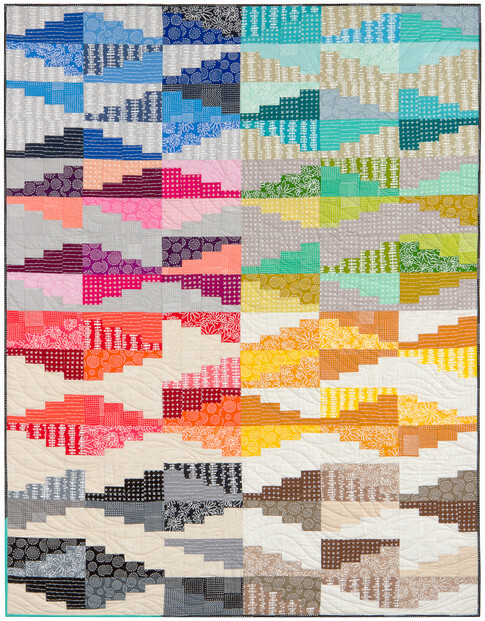 From Sun City, Arizona, Betty has captured the clear, pure colors of the desert in her quilt, which is overlaid with sparkling, delicate gold-flecked organza. 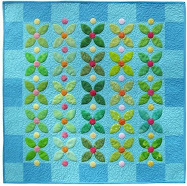 She has used reverse applique to bring the lighter hues of the quilt to the surface. Betty writes: "Escape into the realm of two lizards chasing each other in the leaves under a tree. 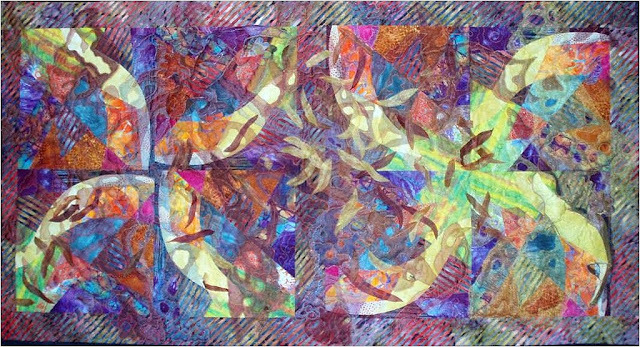 Background pieces and loose leaves gives the impression of a swirling wind. 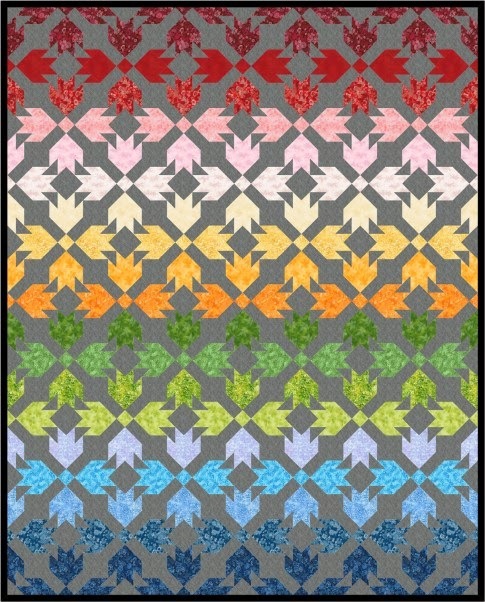 Lizards on top of the quilt are composed of piecing identical to the surface underneath, so they seem to disappear. This piece includes cotton and organza which is appliqued, reverse appliqued, pieced, stuffed, glued, and machine quilted on a stationary machine. " 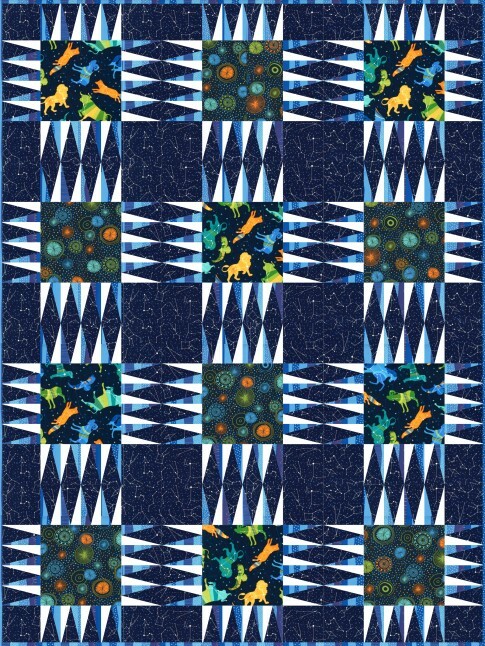 Close-Up of "Doing What Lizards Do"
Can you spot the creature on the quilt ? 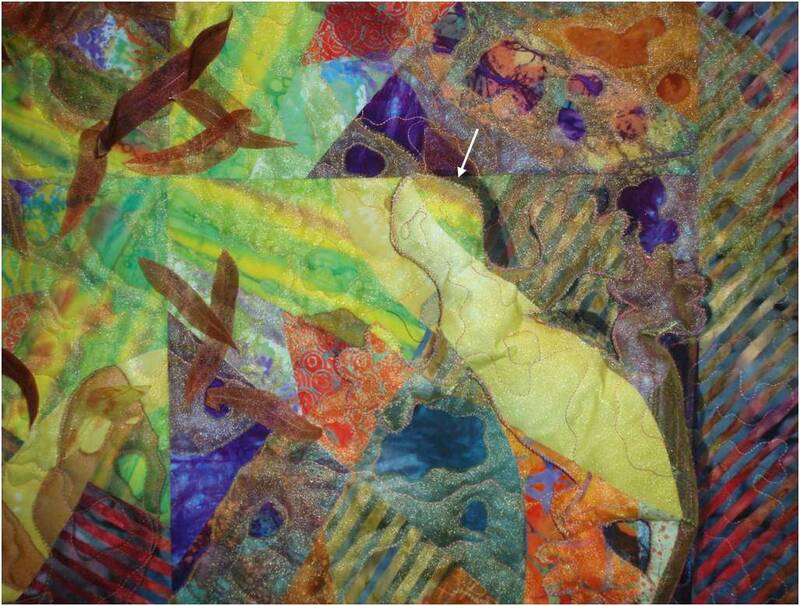 If you look carefully at this close-up, you can see how Betty has created a lizard in organza which is loosely sewn onto the top of the quilt to enhance the three dimensional effect. He is well camouflaged, with large paws like a cartoon gecko might have. We've put an arrow pointing at his head to help you discern his shape. 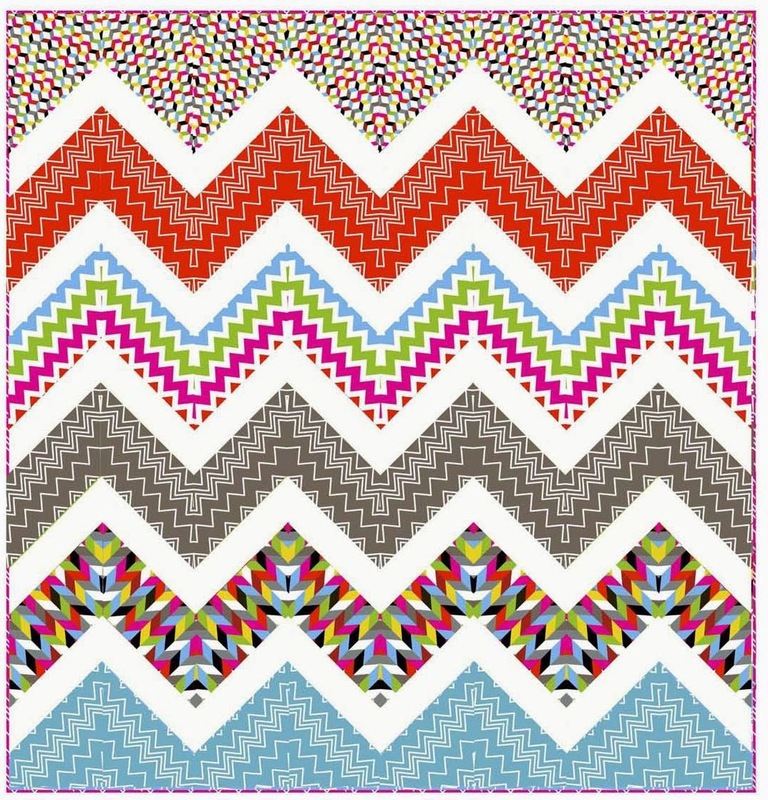 Also you can click on the photo to enlarge the lizard and see the blanket-stitched applique. 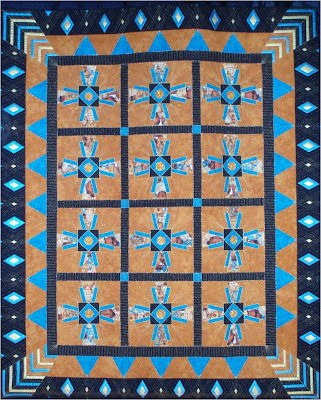 For more quilts by Betty Hahn, see her online gallery at the Arizona Quilters Hall of Fame. Elsa says, "Sitting on the beach of the Big Island of Hawaii is my favorite escape. In this quilt, I've attempted to capture the aura and colors of the sun setting over that beautiful area." Elsa's quilt is hand appliqued, machine piece, and machine quilted. 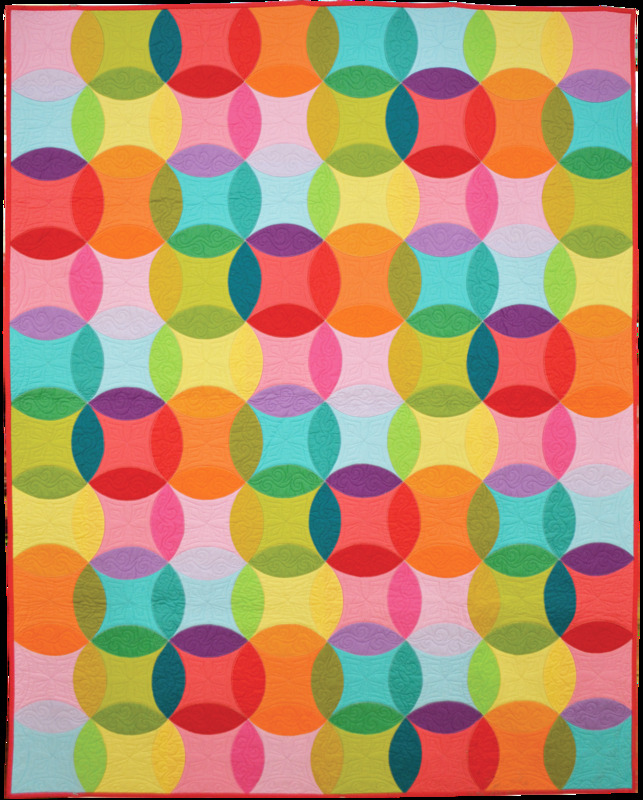 The striped border emphasizes the light and clarity of the contemporary circles of color. 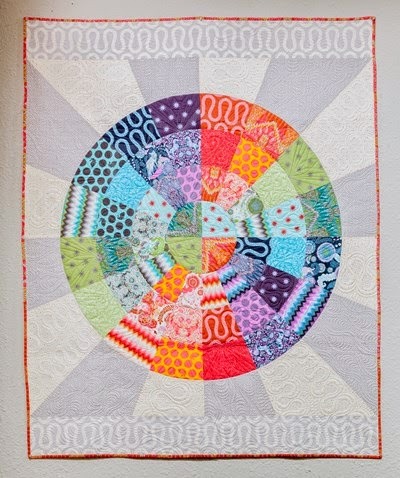 We loved the perfect piecing and color selection in these circular motifs. 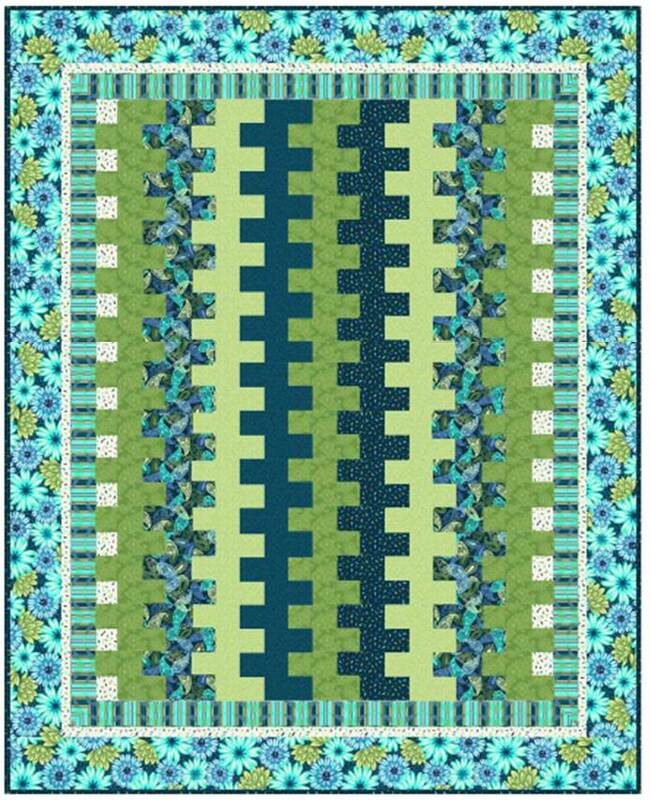 The myriad shades of restful blues and greens are so reminiscent of the ever-changing colors of the ocean. 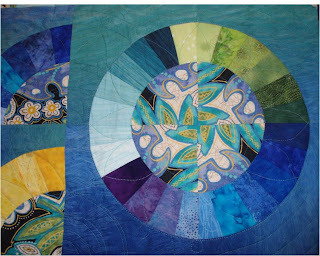 From Third Lake, IL, Robbi Eklow has created concentric circles of violet and its complementary color yellow, plus a soft green and French blue background. 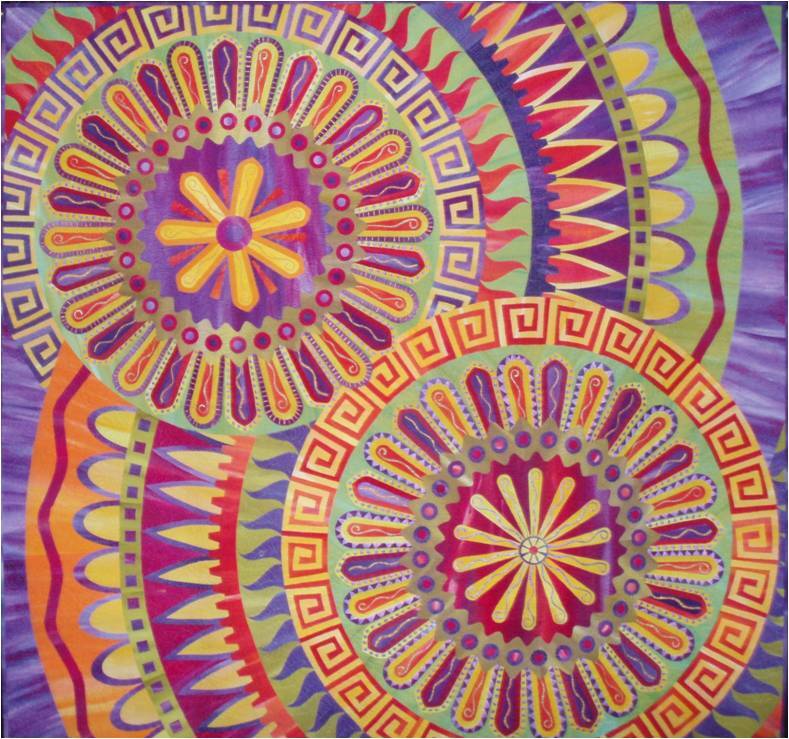 This truly is "eye candy" ; and it reminds us of the giant lollipops decorated with swirls of color that were sold at the carnivals and circuses of our childhood. 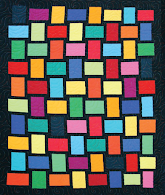 No stranger to prestigious quilt shows, i Candy 3.0 also won 2nd Place for Art Abstract Quilts at the International Quilters Association ﻿2009 Quilts: A World of Beauty show in Houston, Texas. 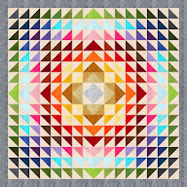 You can also read about this quilt at Robbie Joy Eklow's website (aka The Goddess of the Last Moment). 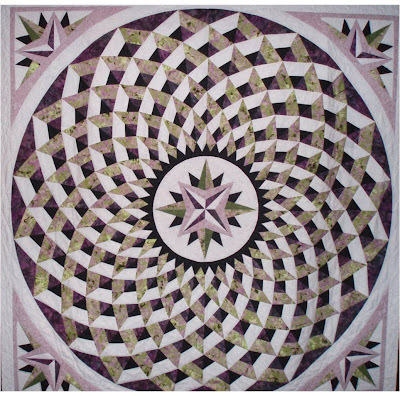 From Danville, CA, Mary writes that her quilt was inspired by an Italian mosaic floor from the series Bella Bella Quilts by Norah McMeeking. 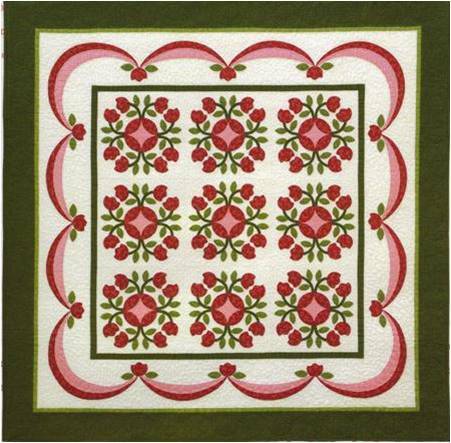 Tiled floor patterns and quilt patterns are often interchangeable and complementary, because both are meant to adorn fairly large, flat surfaces. 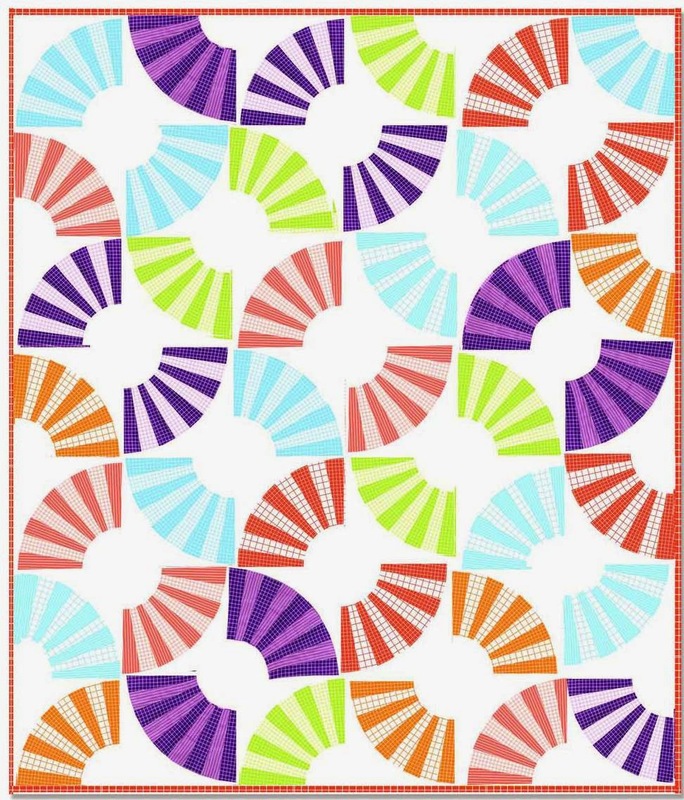 Mary Mix has achieved a fabulous three dimensional effect of space and depth with this circular, "attic windows" - style pattern. 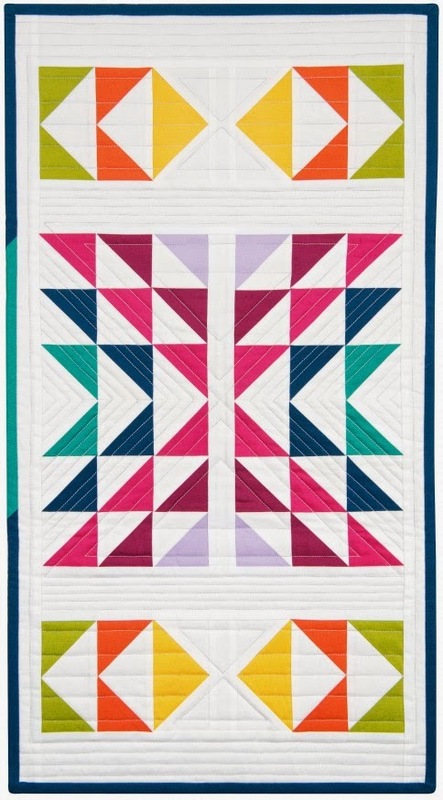 Beautifully precise foundation-piecing gives this quilt a radiant geometric, orderly, and mystical quality that is very pleasing. 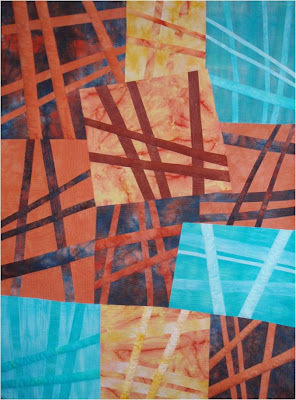 From Palmyra, New York, Marcia DeCamp writes, ''This piece was inspired by the jet condensation trails that cross the skies outside my studio windows. It represents our ability to fly away from our day to day routines and speed away to almost any spot on the globe." 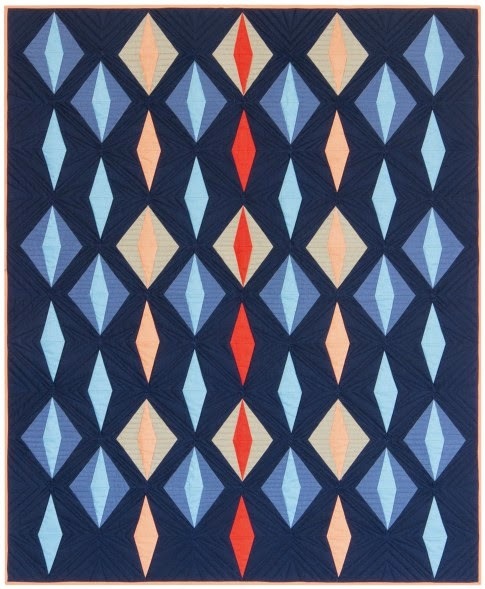 Machine pieced and machine quilted, this quilt beautiful juxtaposes aqua blue and burnt orange in such a way that all the colors really pop with vibrancy and movement. Cory writes, "Southwest of Michigan" took me from the green of the Midwest to the glory of the desert in St. George, Utah." 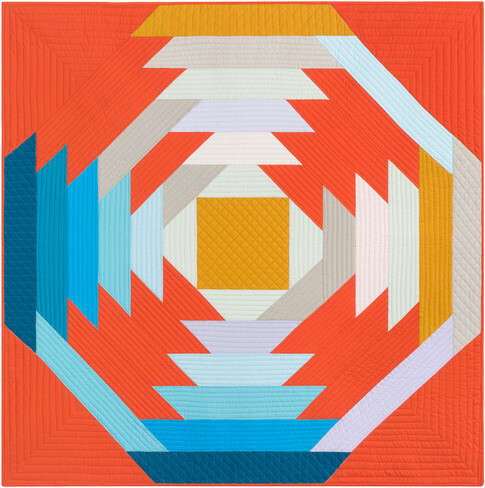 We loved this magnificent, contemporary, geometric tribute to the southwestern United States' colors and designs. Cory has taken strands of gold fluted beads and coiled them into elegant spirals, which are then affiixed to the center of the blocks. 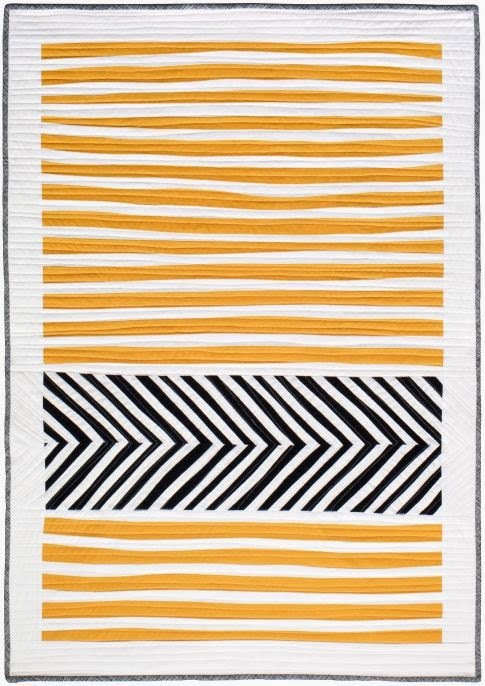 The quilting is composed of perfect parallel rows of very fine shiny gold thread, which really dresses up this work and enhances the contemporary triangles and diamonds.